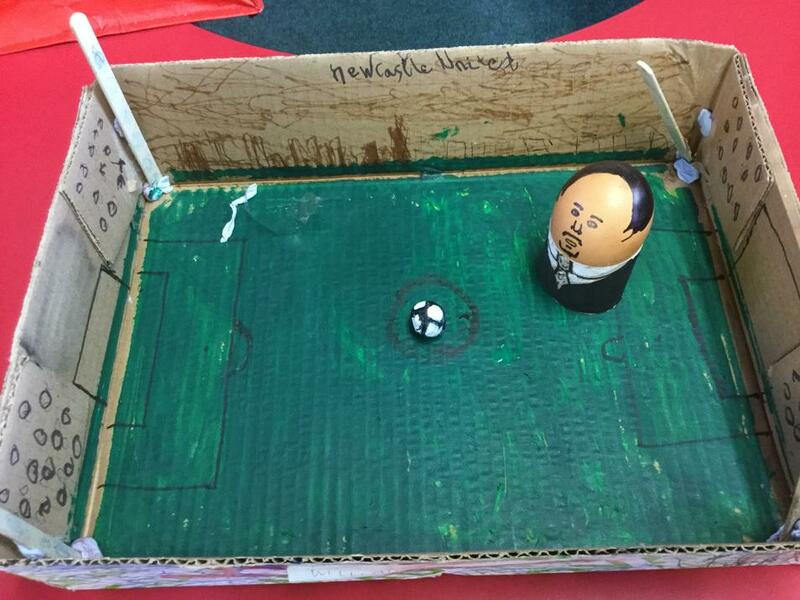 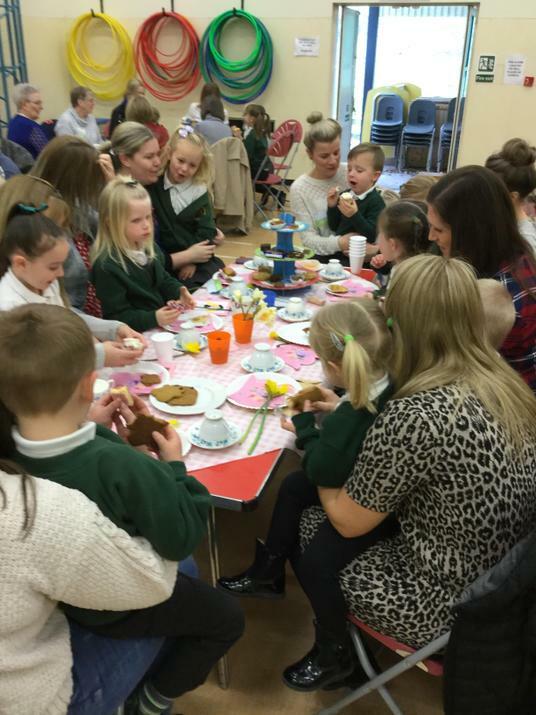 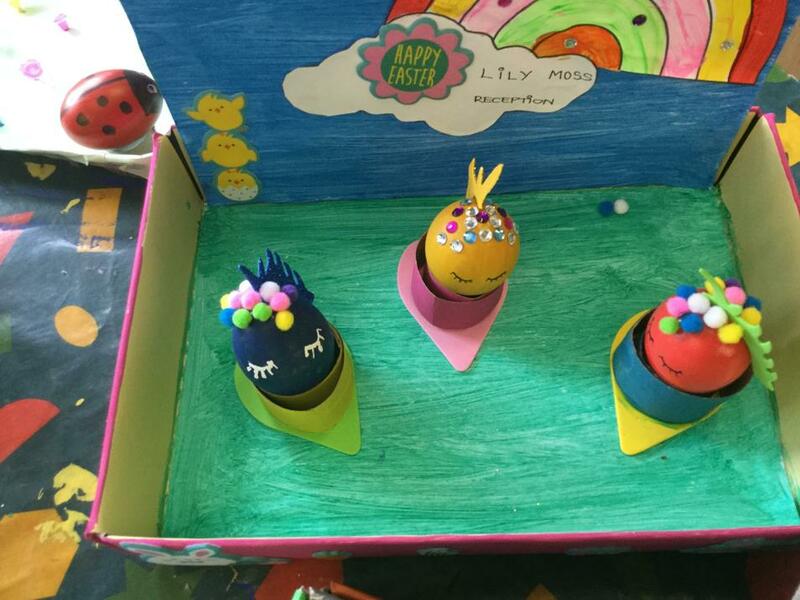 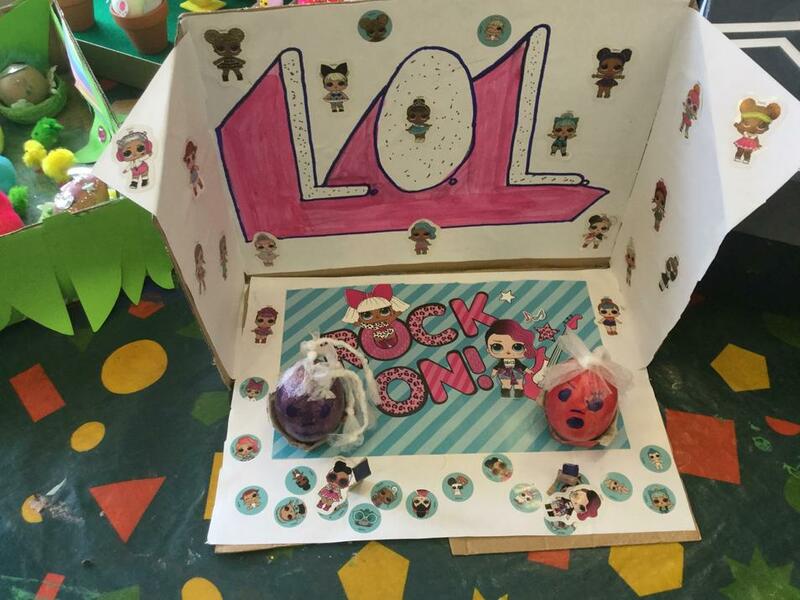 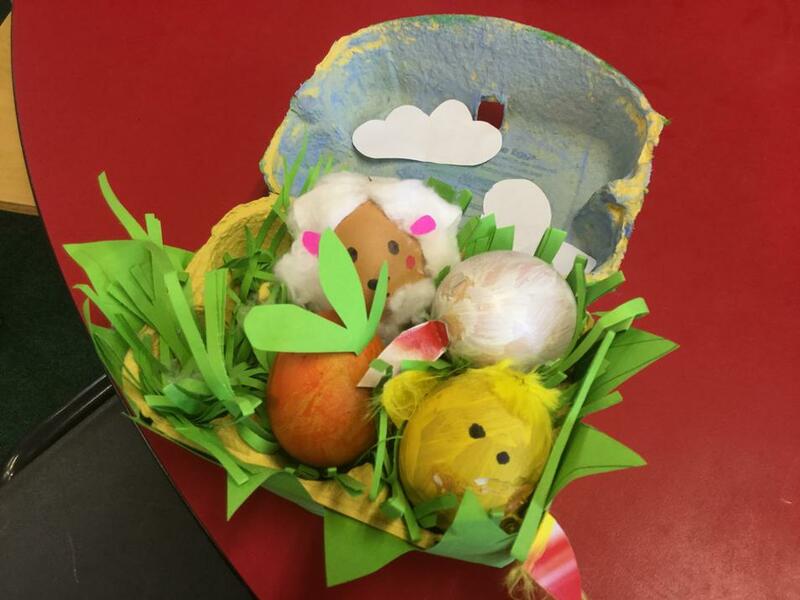 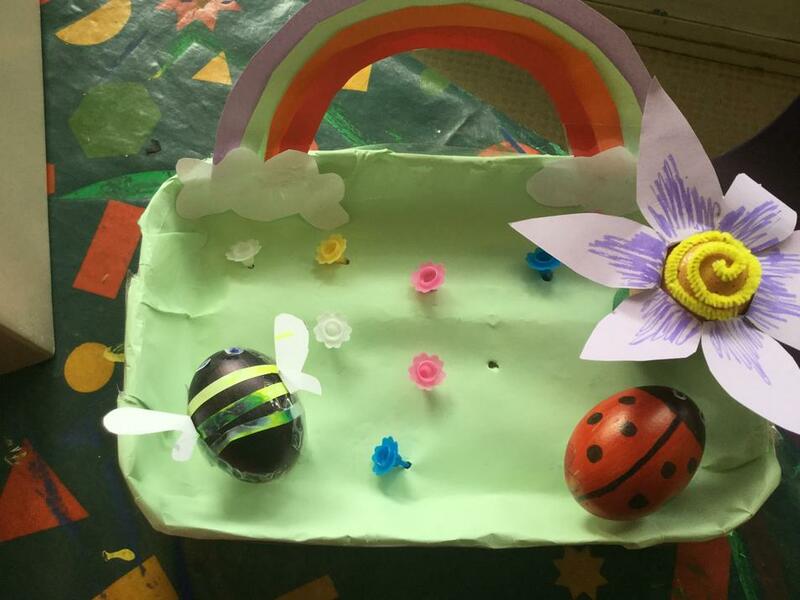 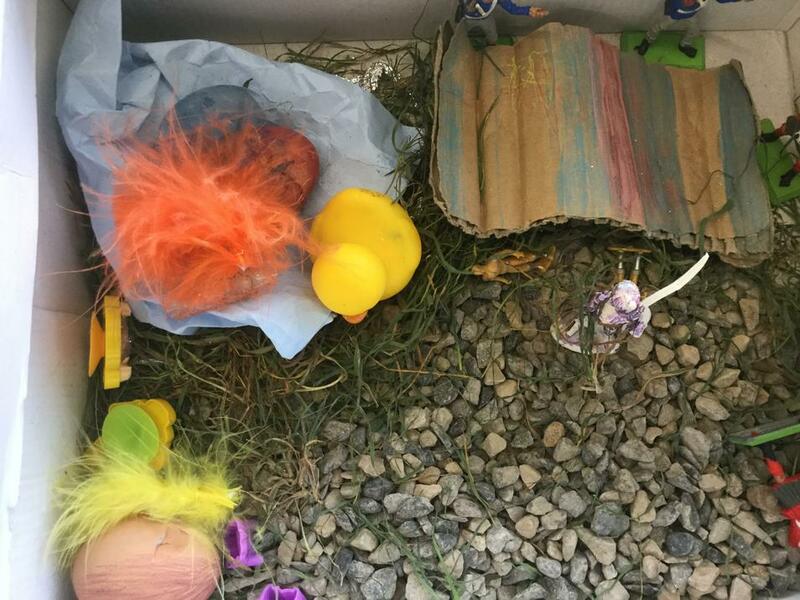 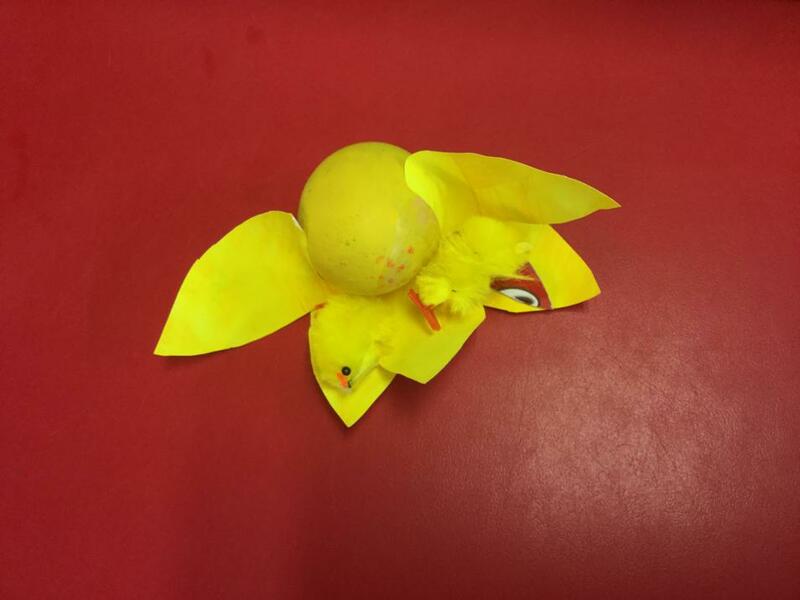 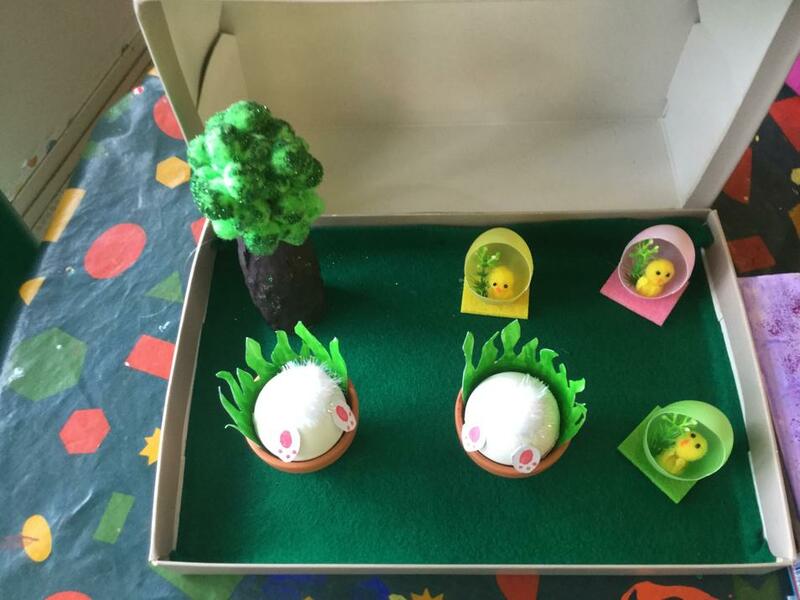 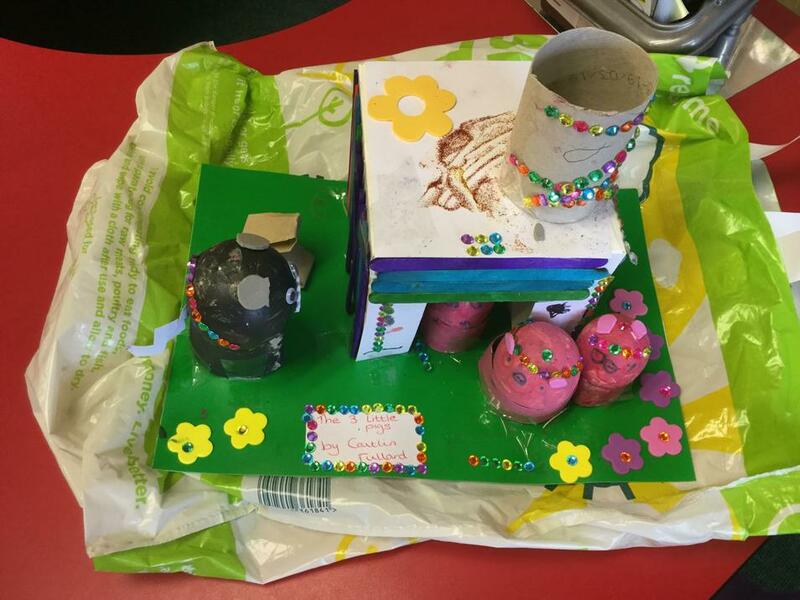 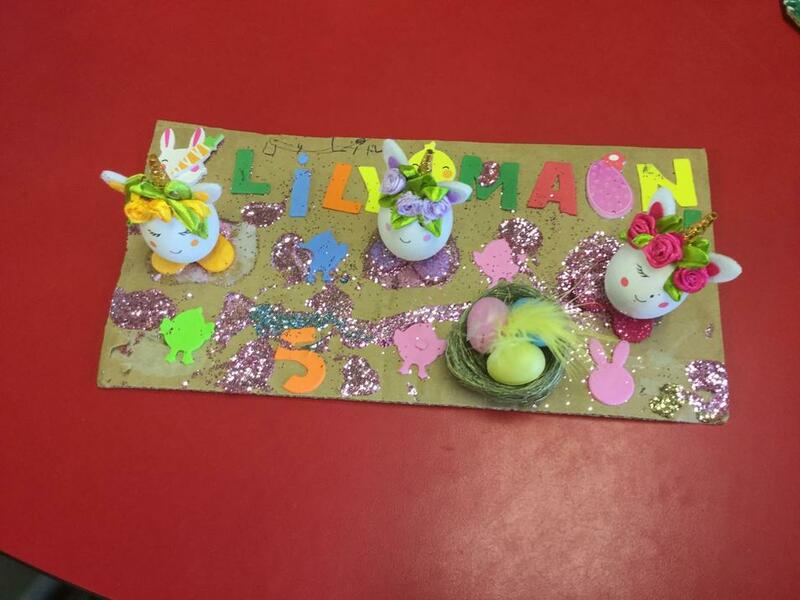 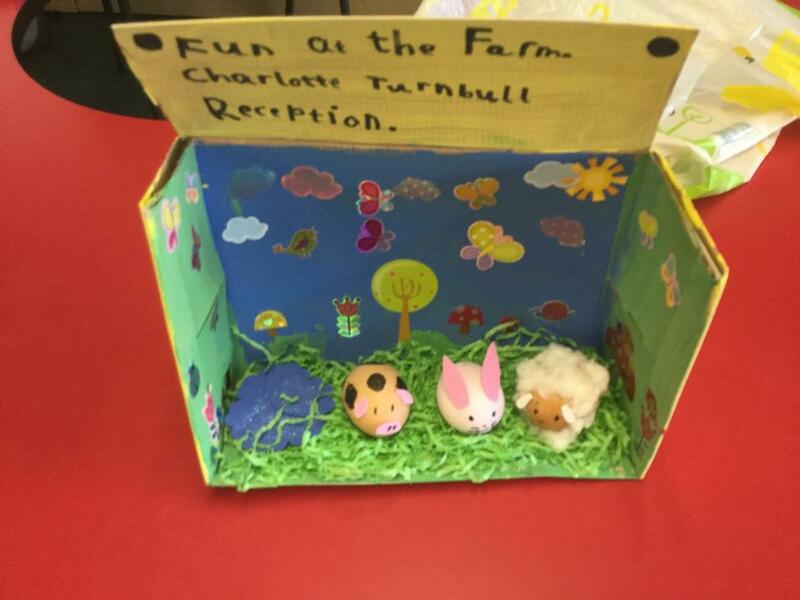 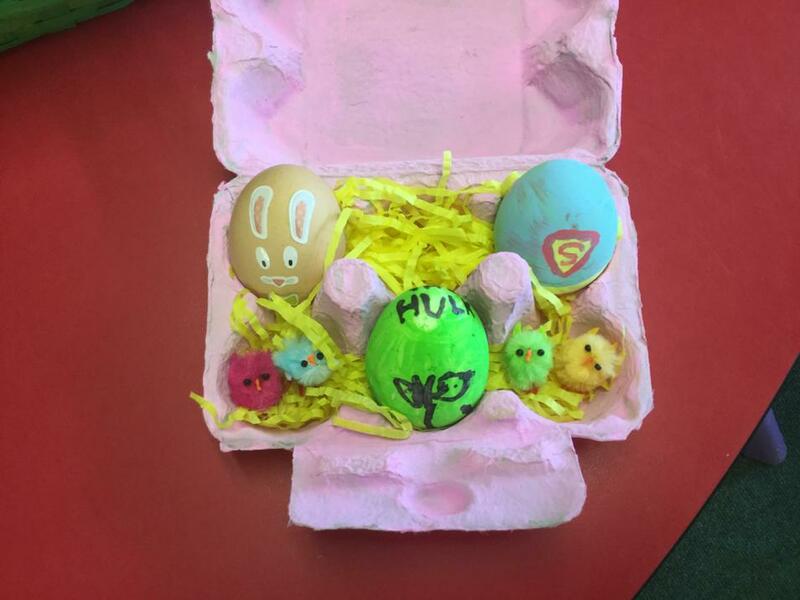 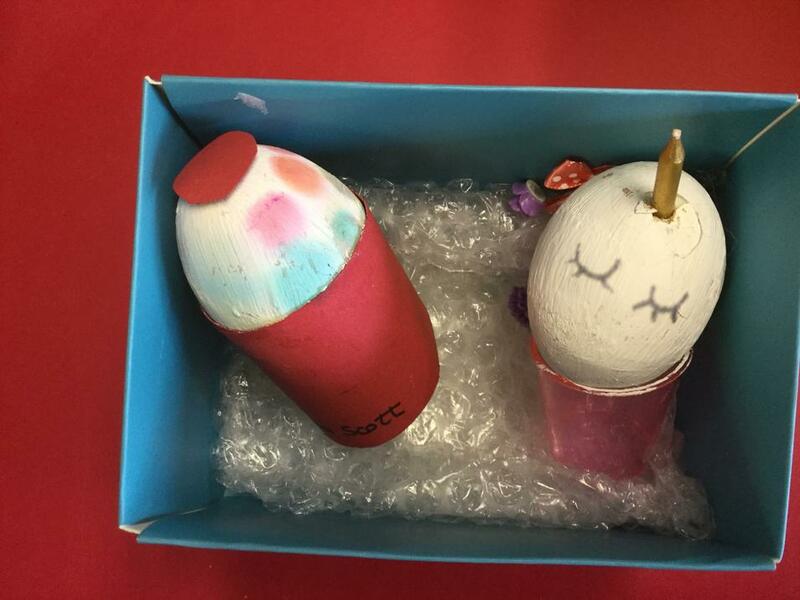 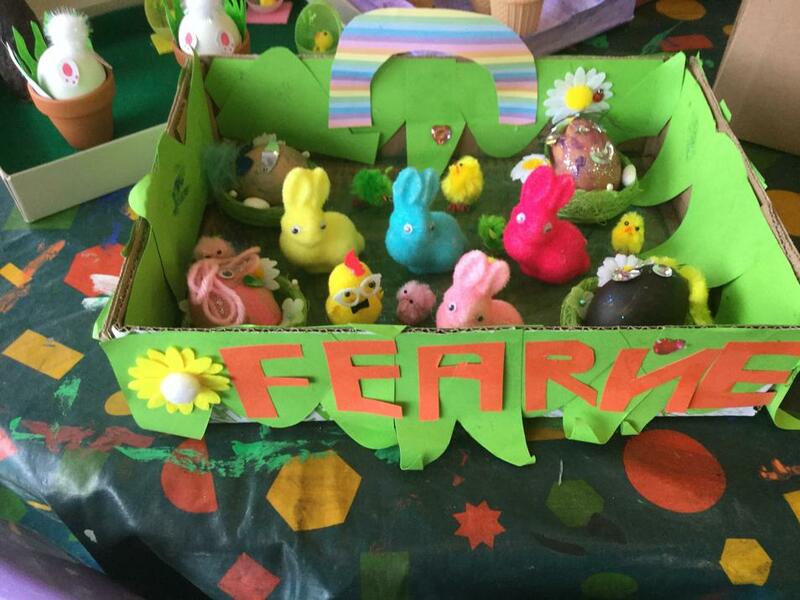 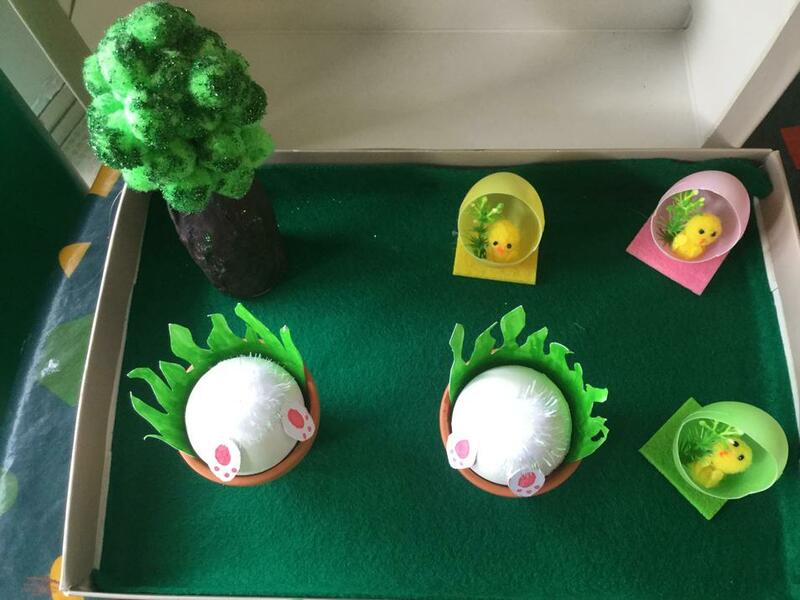 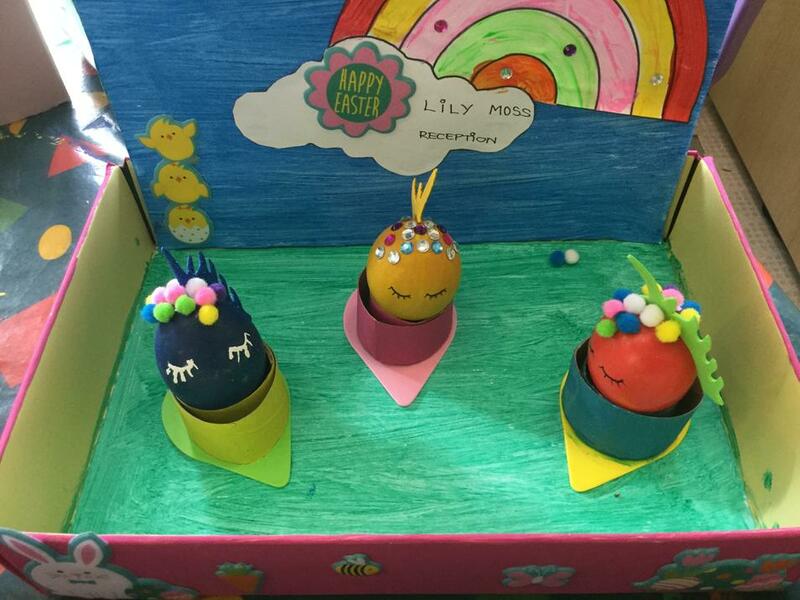 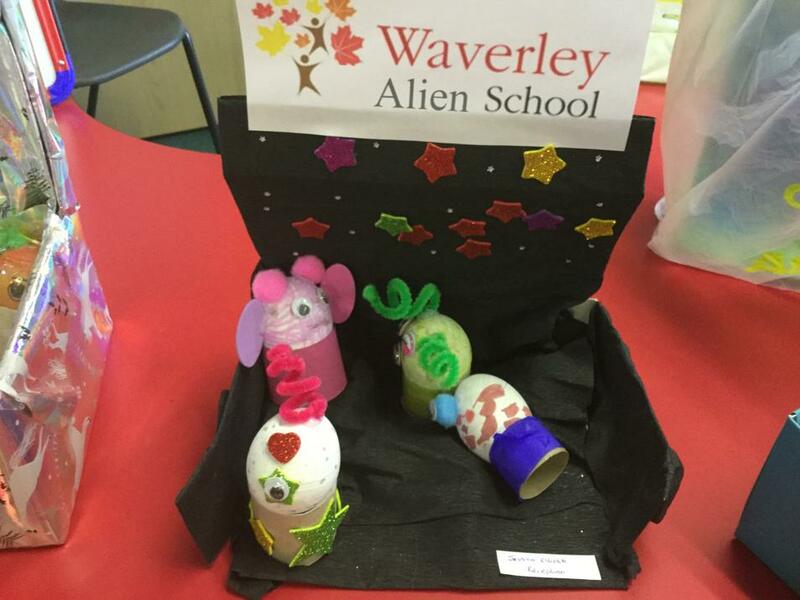 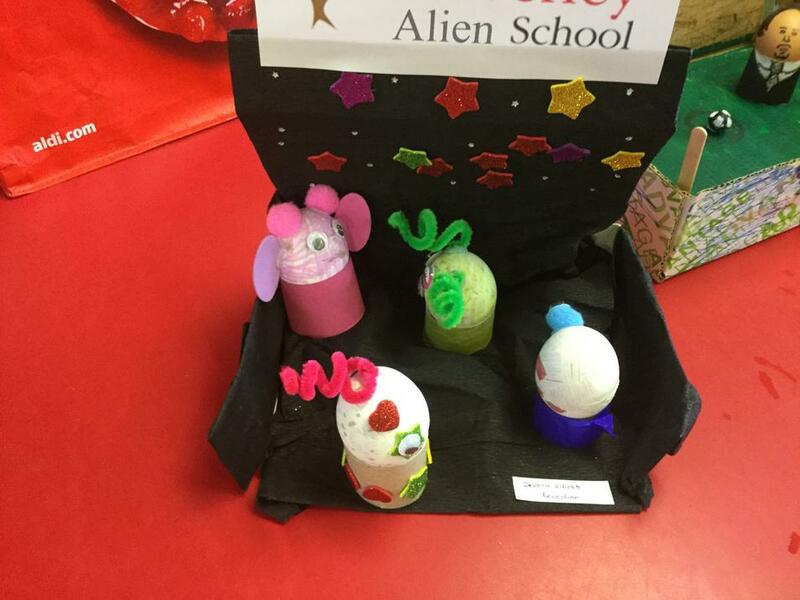 Well done to all those children who entered the Easter Egg competition. 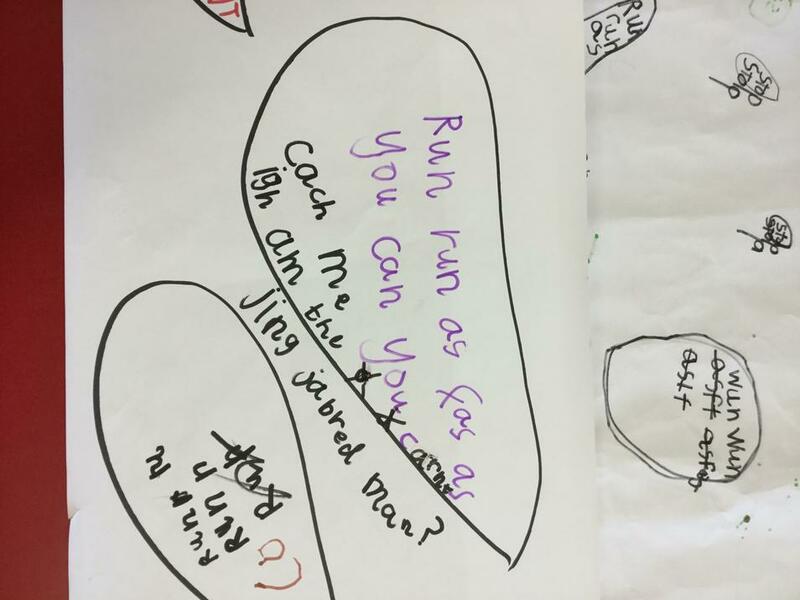 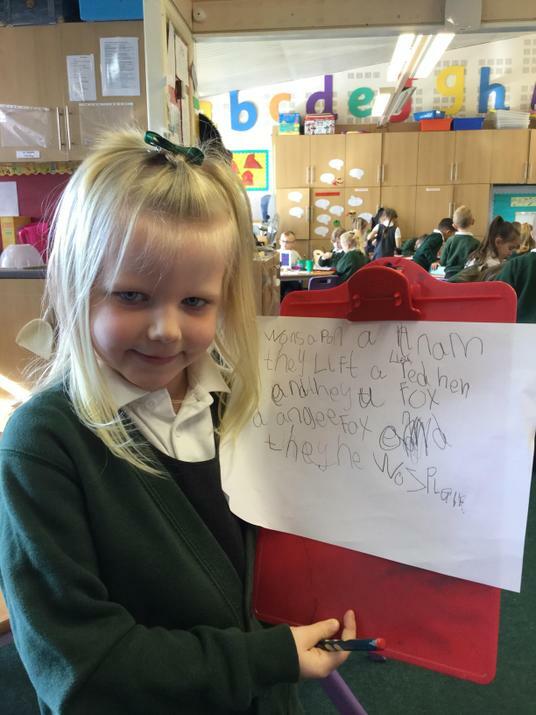 There were some fantastic ideas. 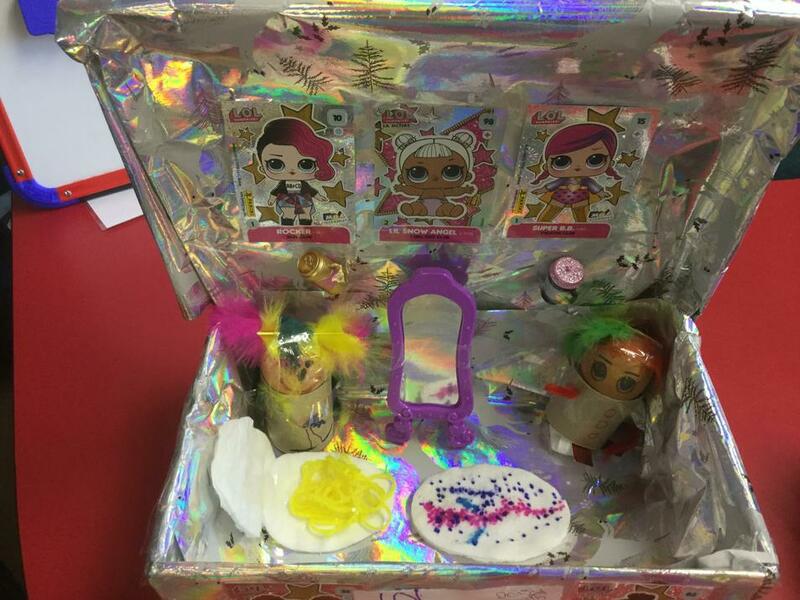 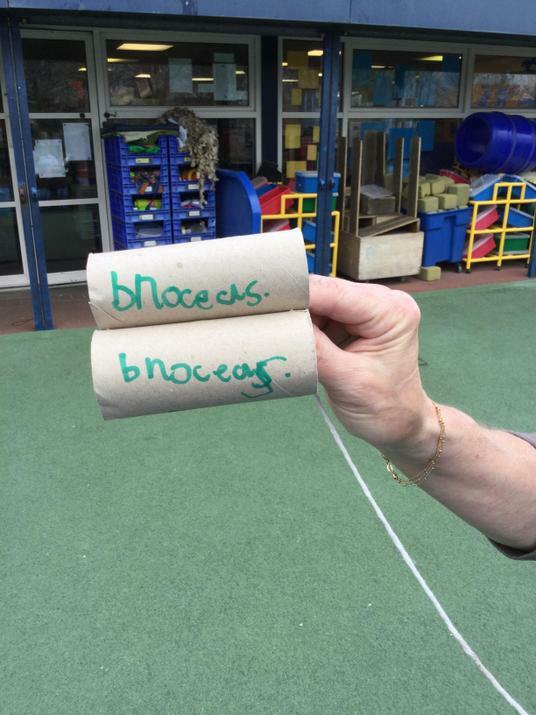 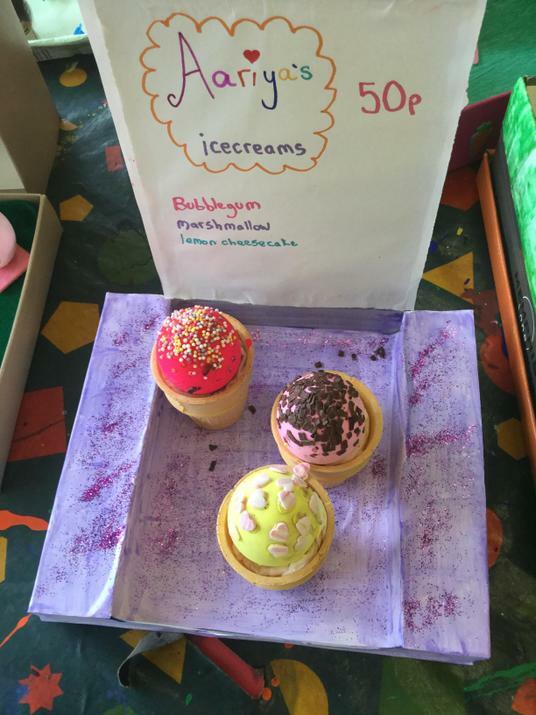 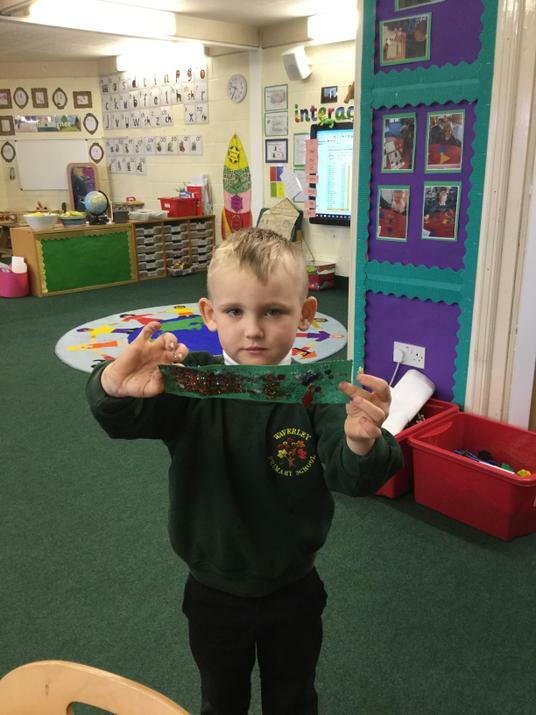 The children were all very proud of their creations. 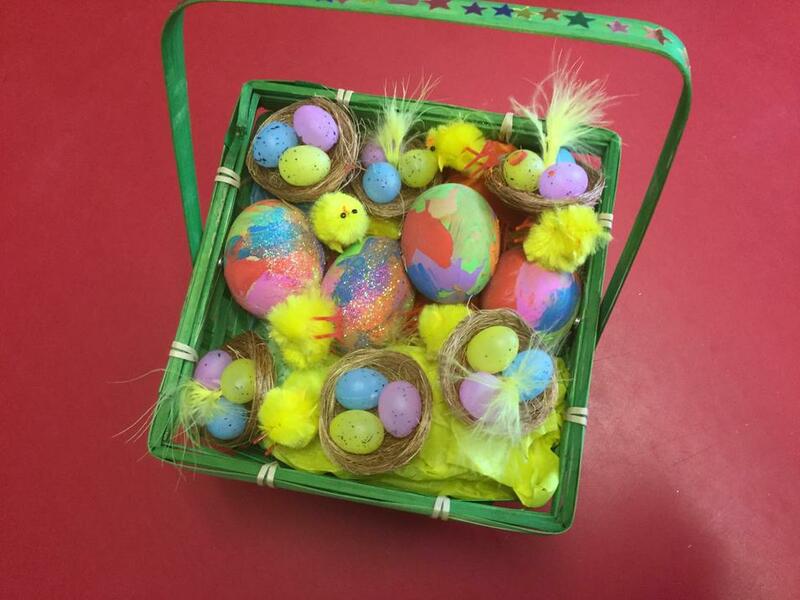 I hope you all have a safe and happy Easter holiday and thank you for your support. 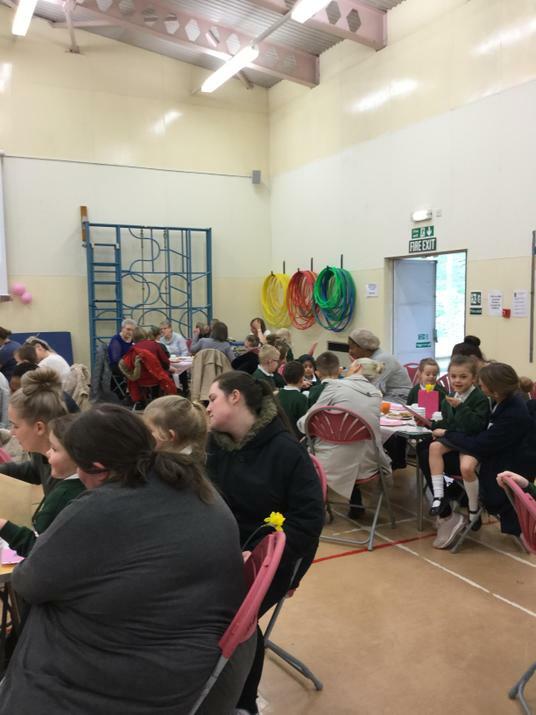 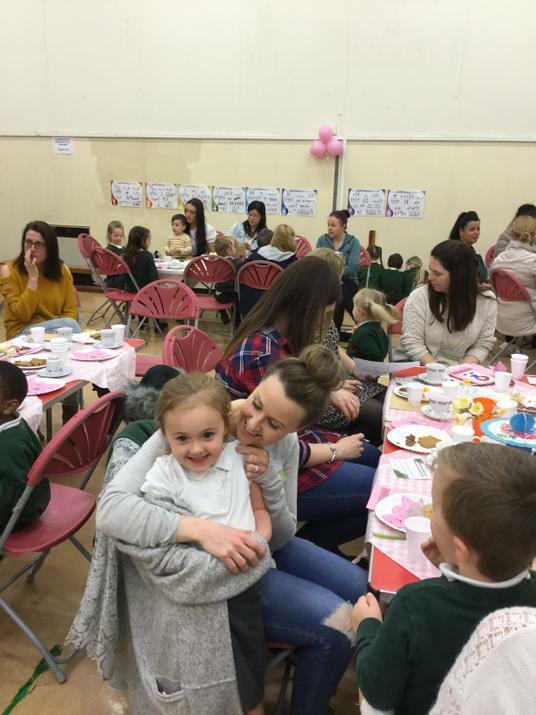 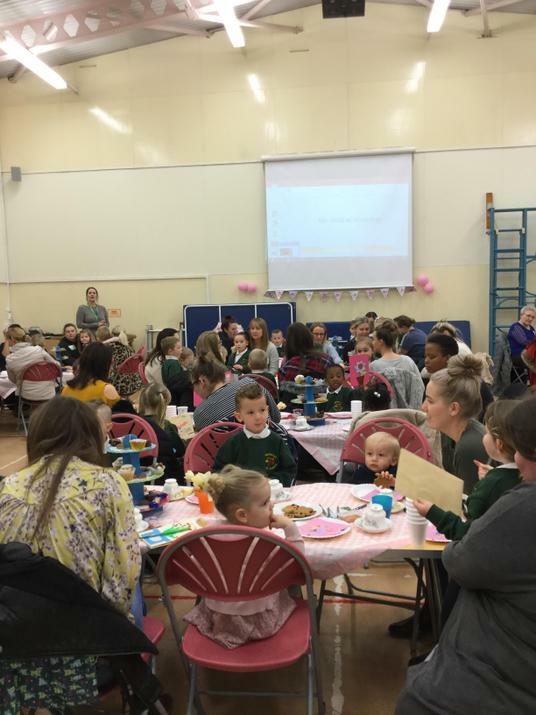 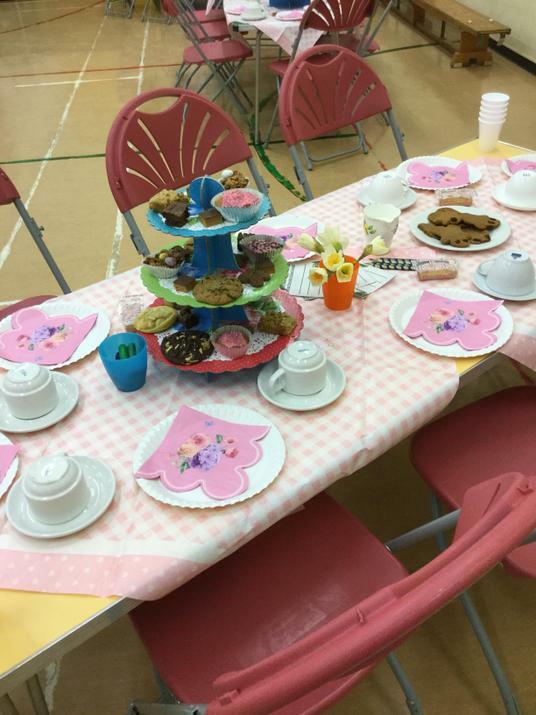 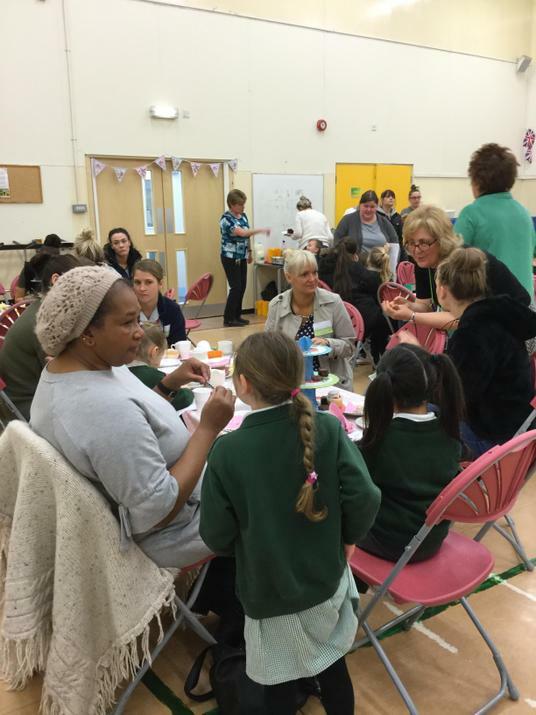 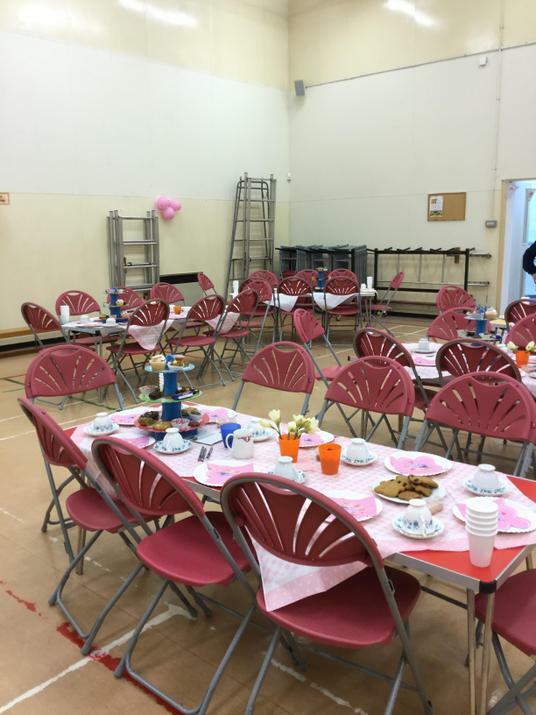 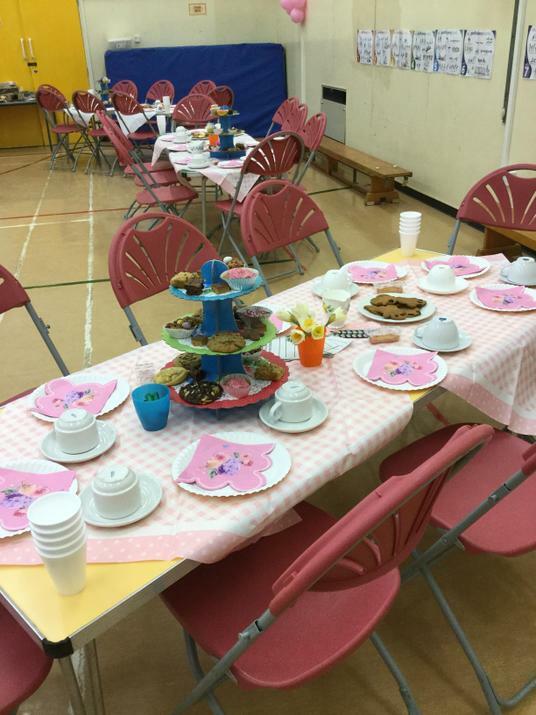 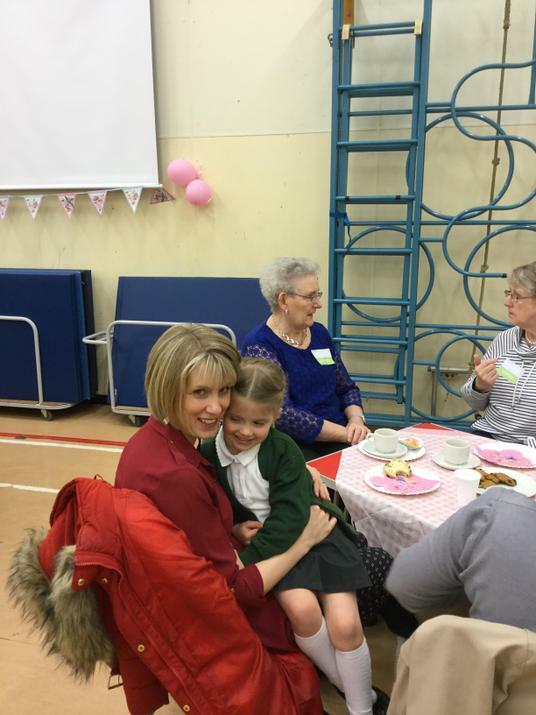 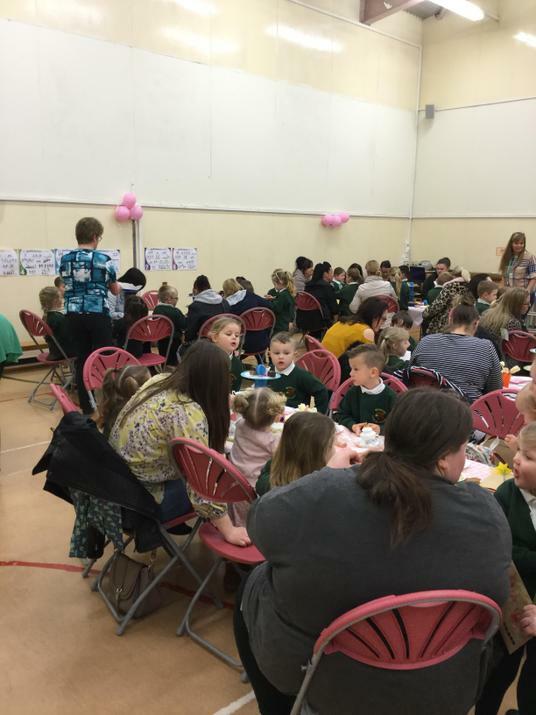 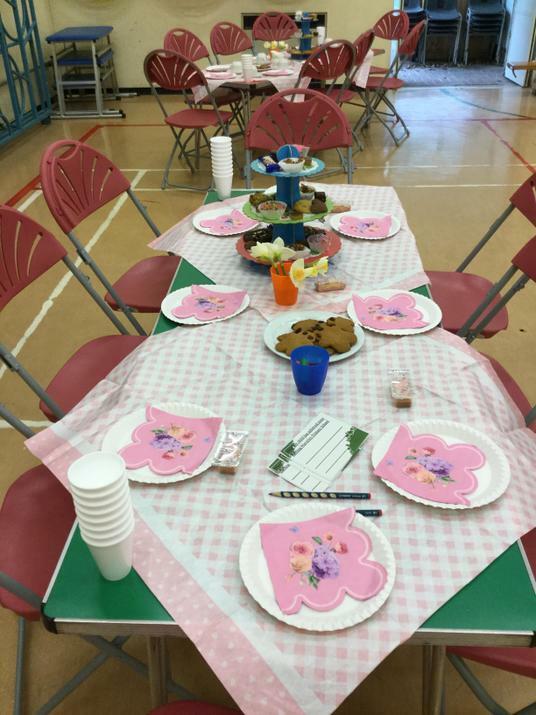 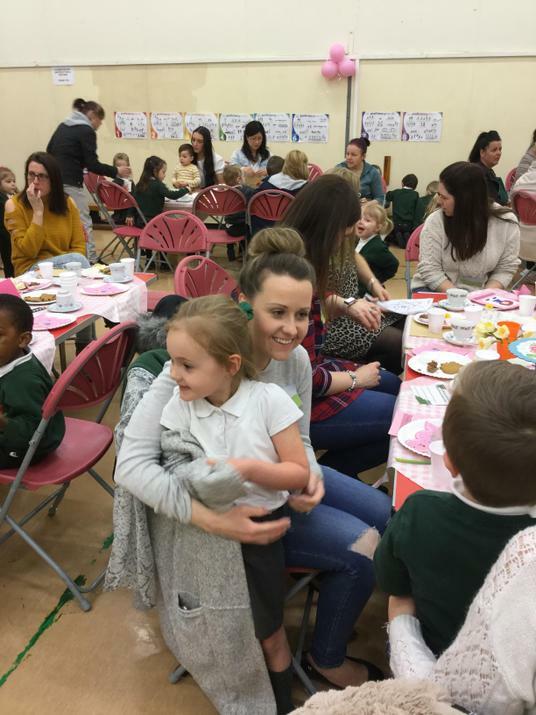 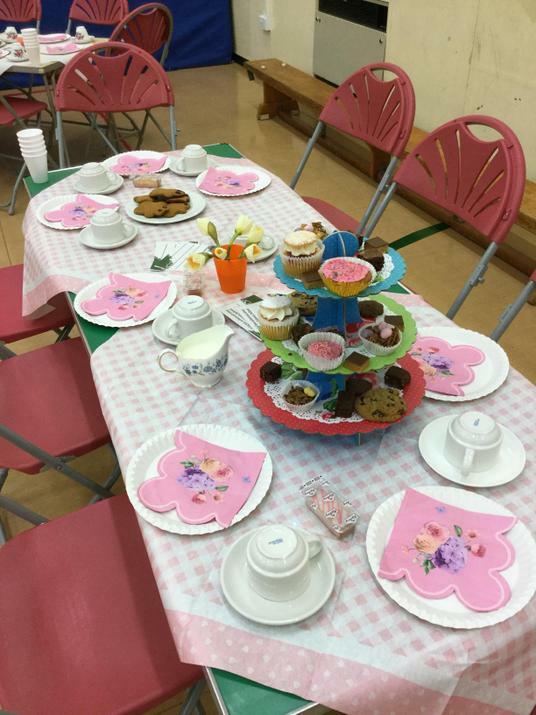 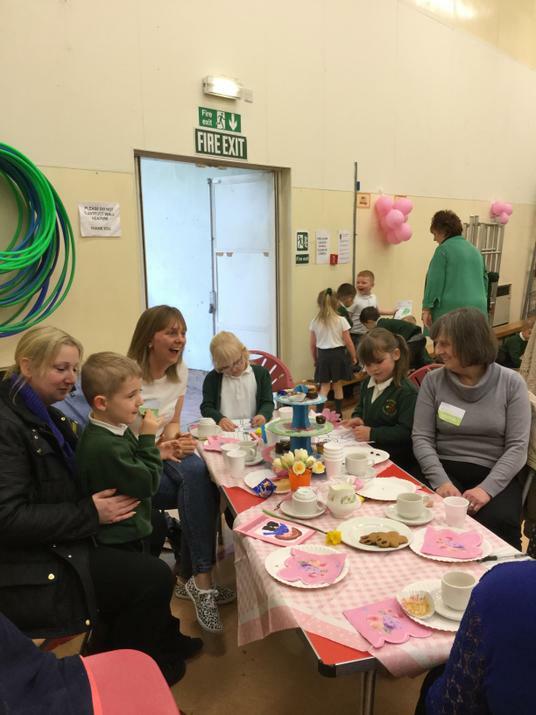 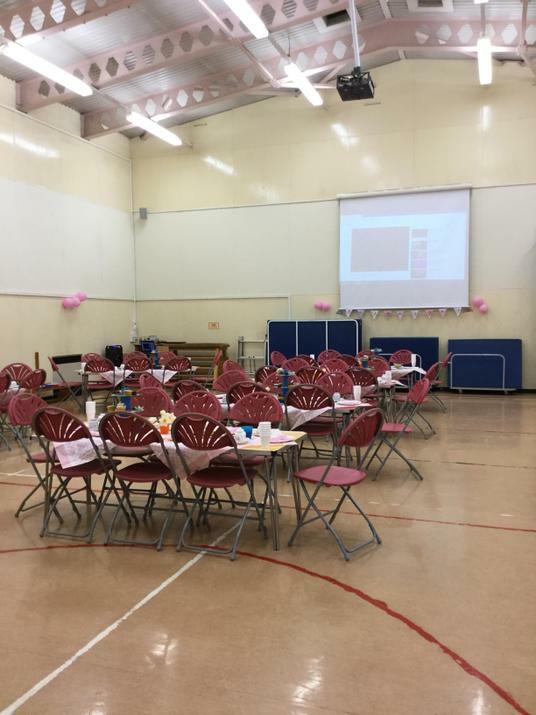 Thank you to everyone who came to our Mother's Day celebration in the gym. 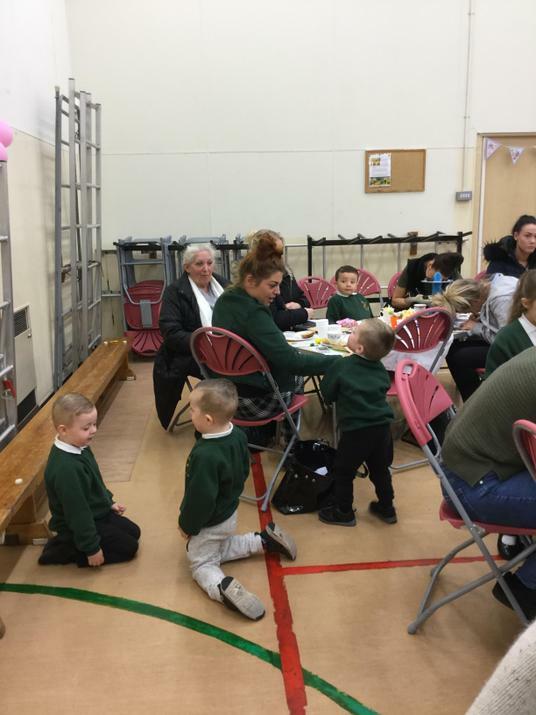 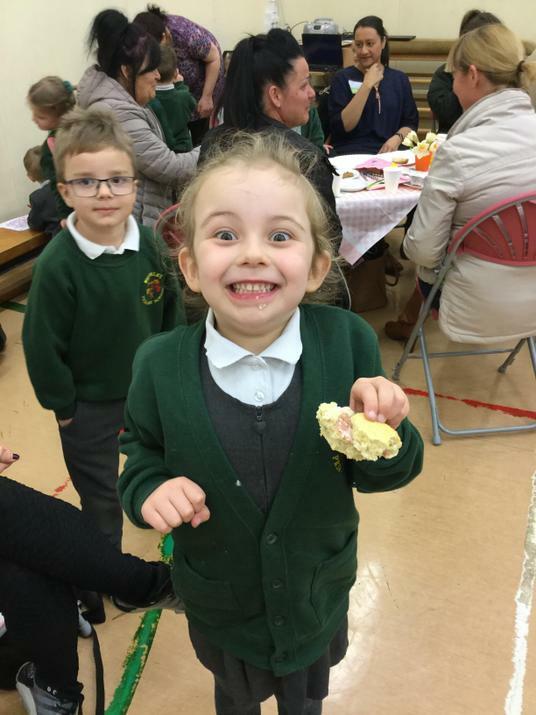 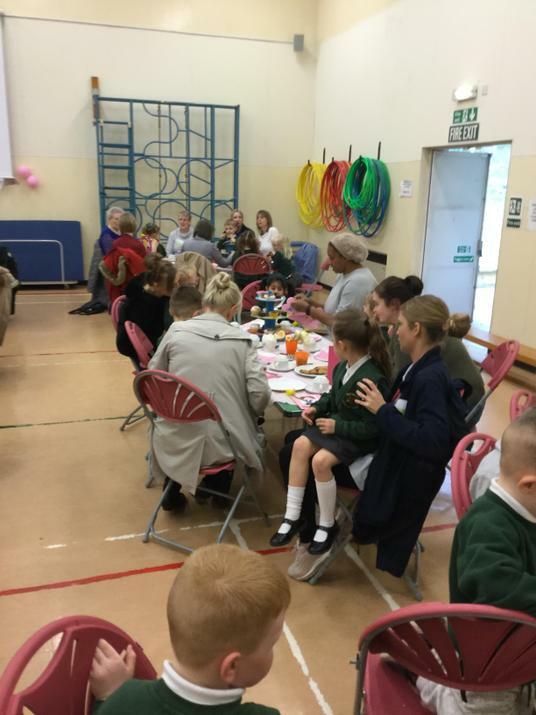 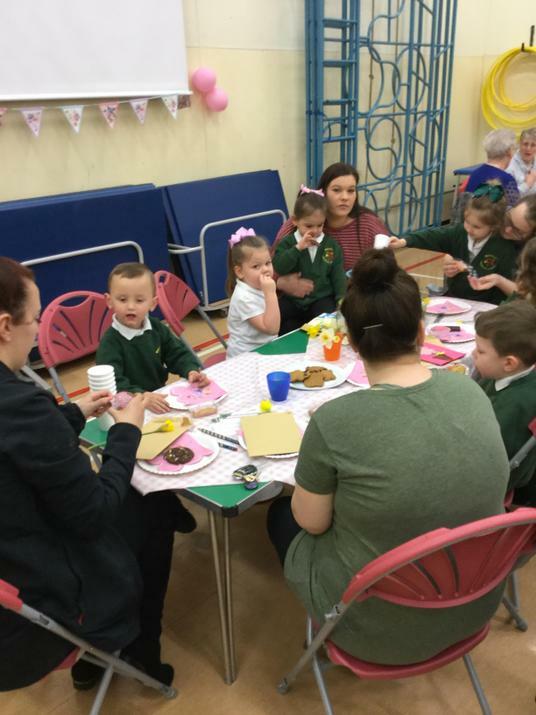 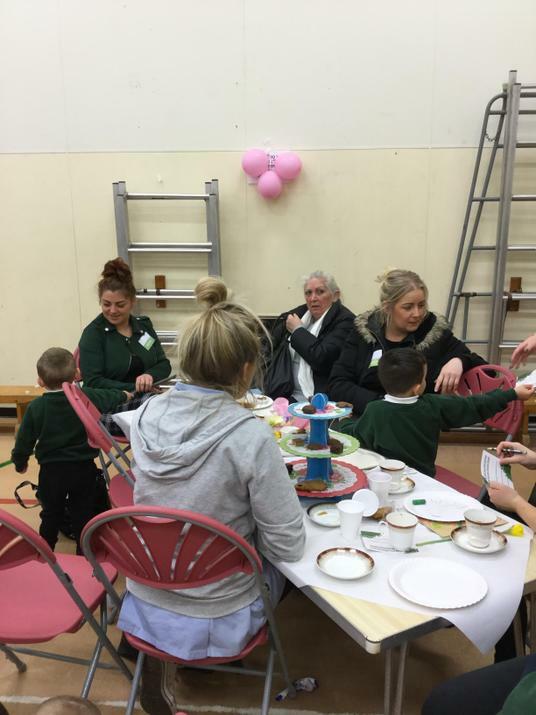 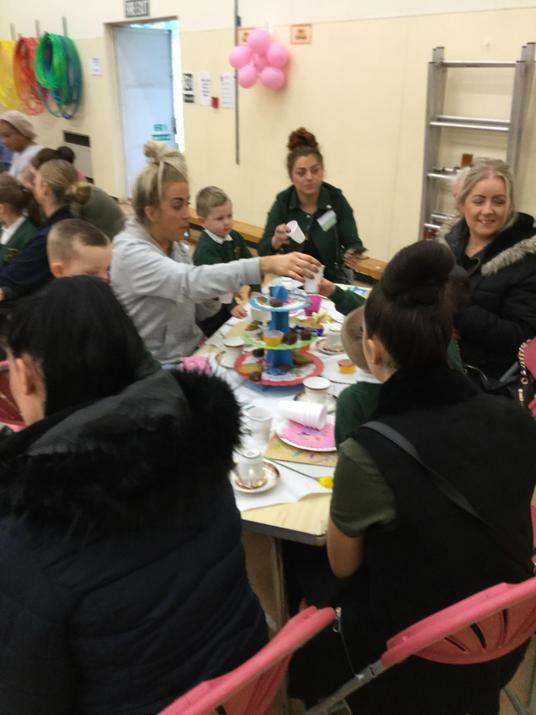 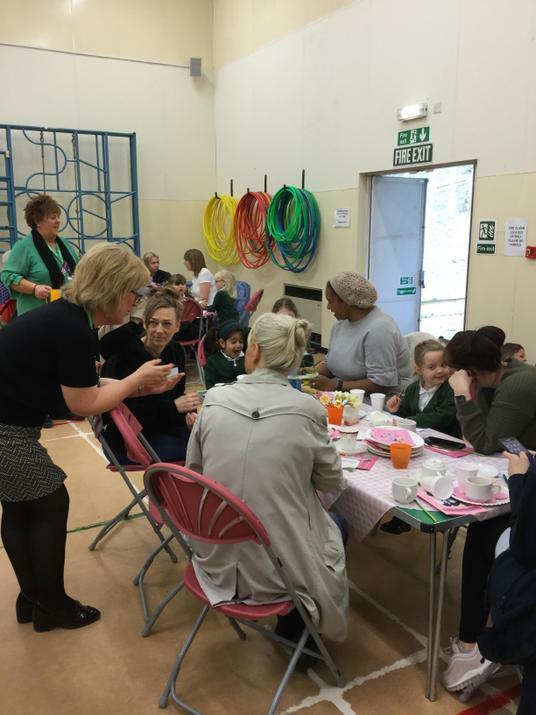 The children really enjoyed their morning. 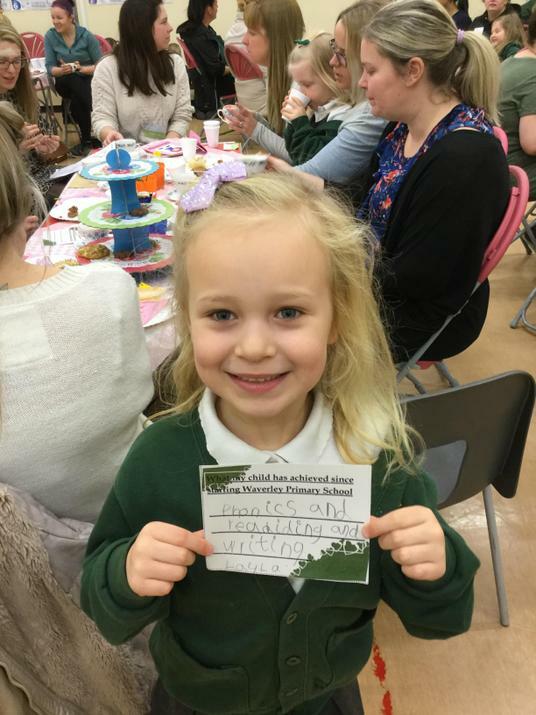 We have had such lovely feedback from all of you, thank you. 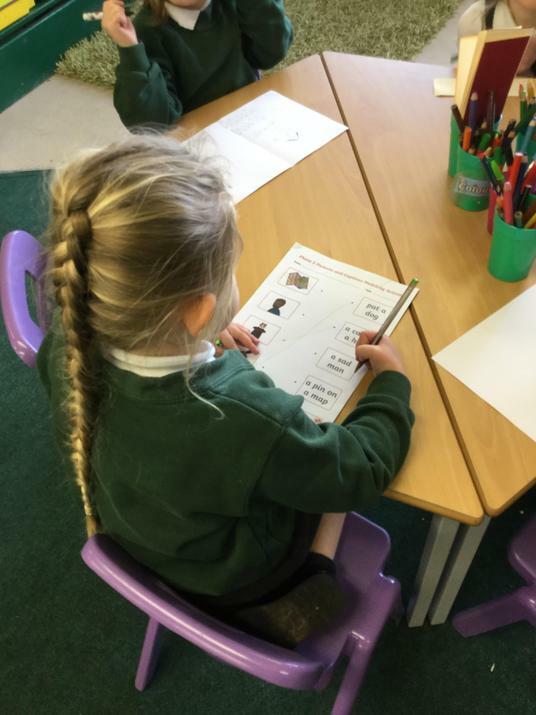 In PE this week, the children had their first experience of Curling. 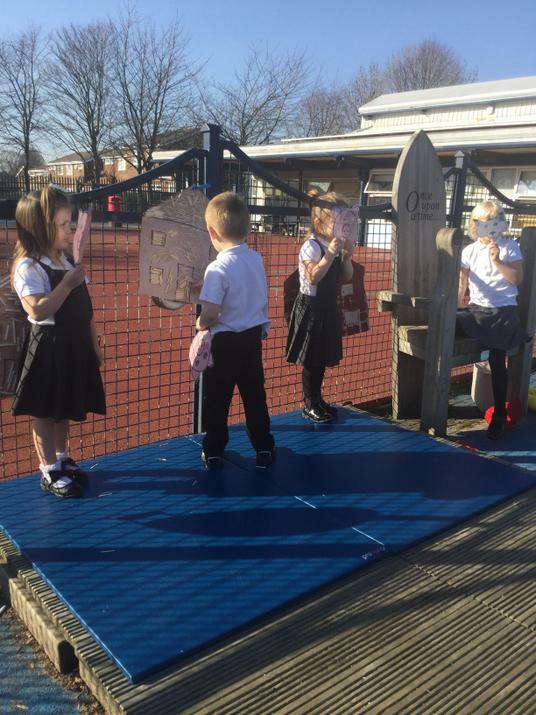 The children all really enjoyed this team game and were able to develop the technique of rolling the curling stones into the target. 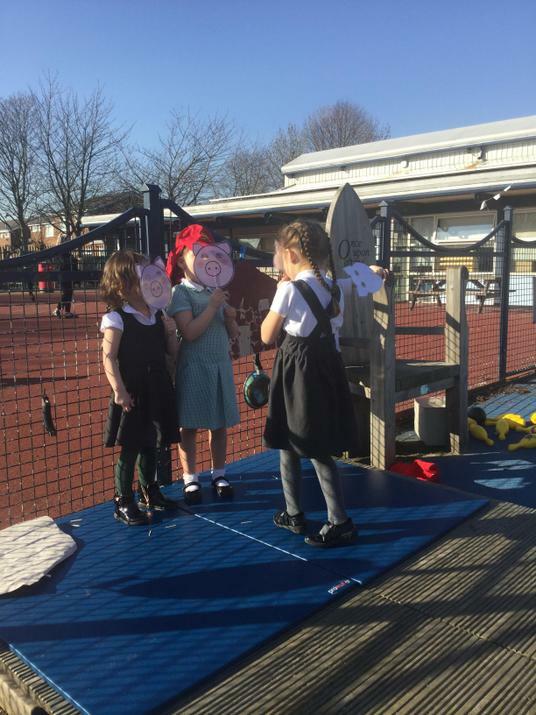 Some children were able to hit the target and even knock others out of target to gain more points for their team. 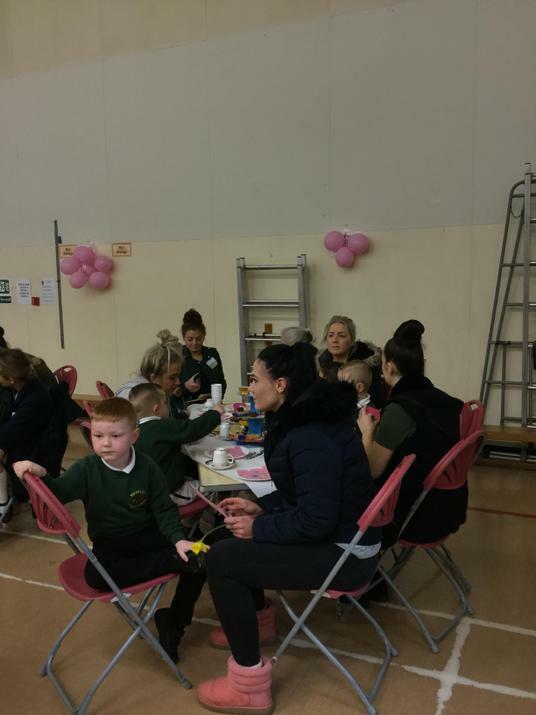 We found the winning team at the end of the lesson and then all children shook hands before leaving the gym. 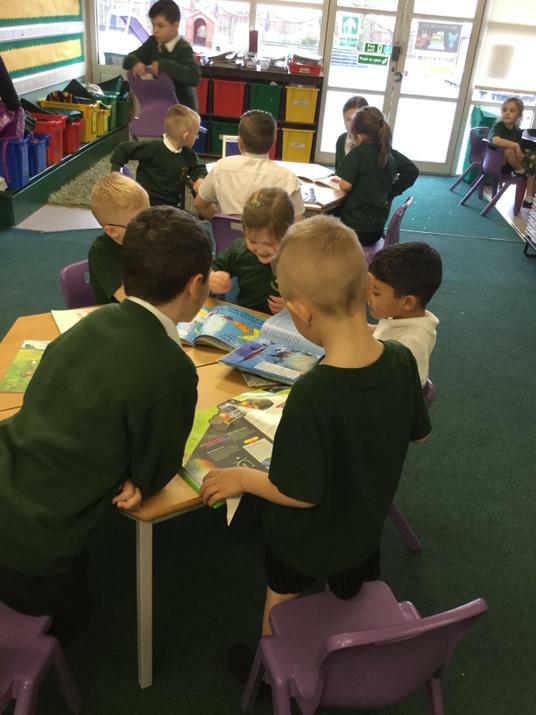 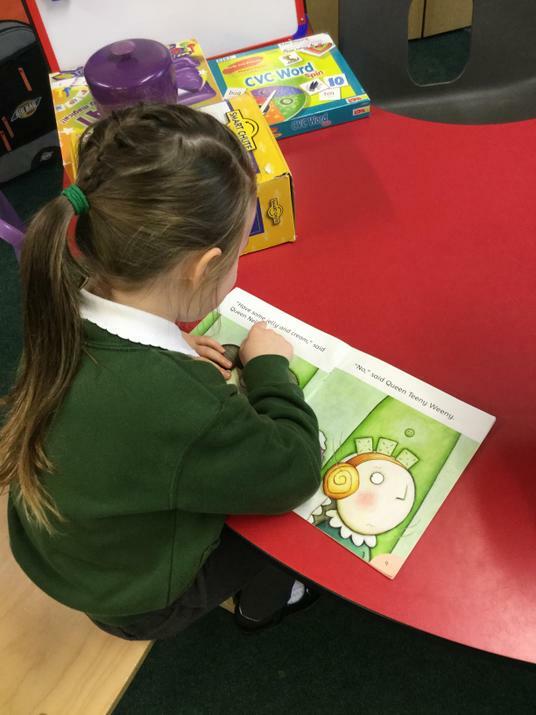 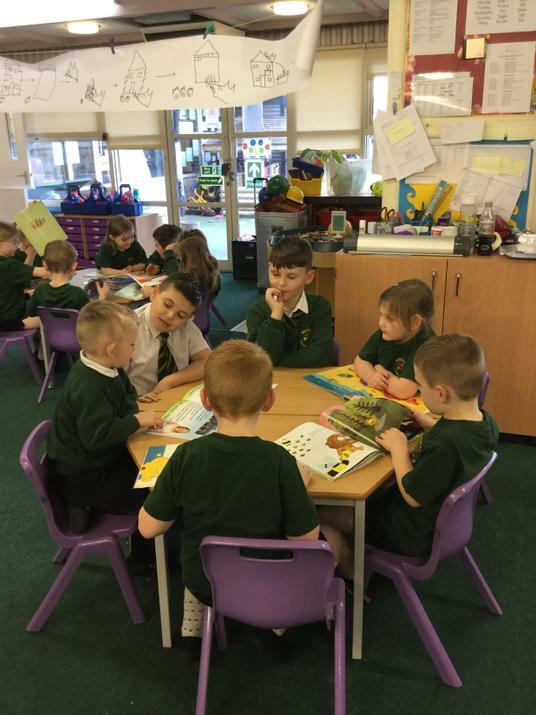 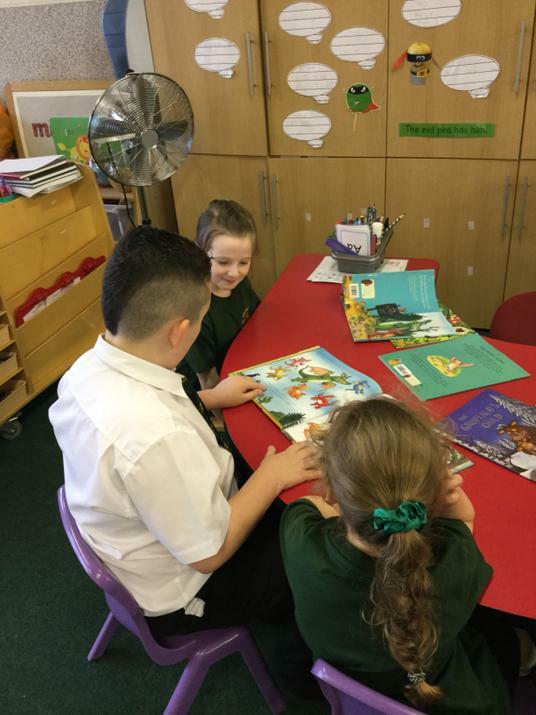 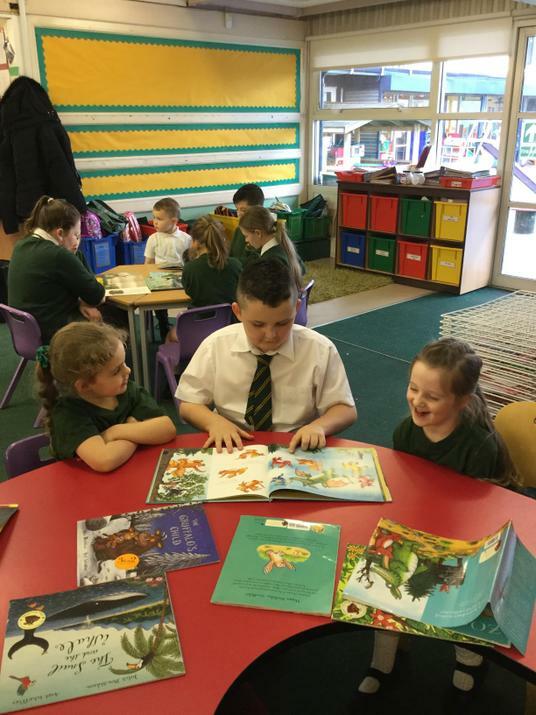 To celebrate World Book Day the children enjoyed reading for pleasure all around the classroom. 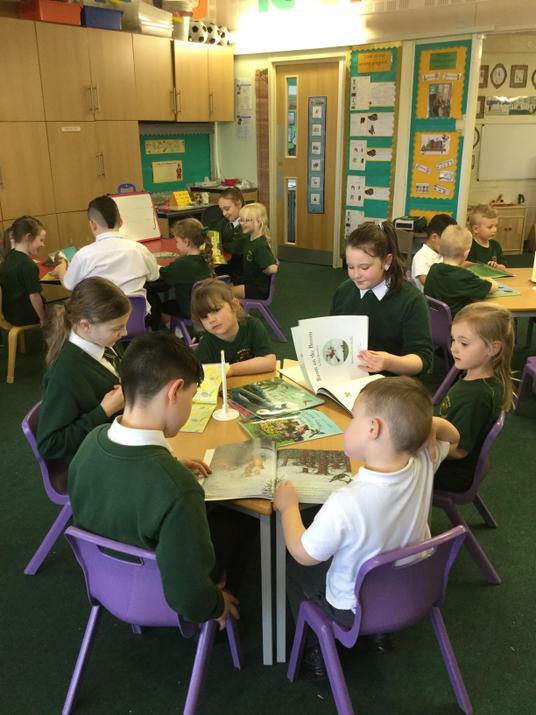 We had so many familar stories to enjoy in cosy corners and reading snugs. 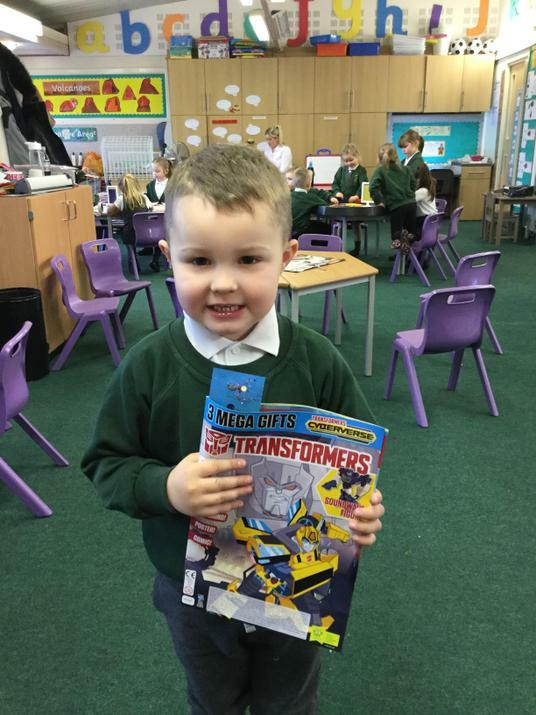 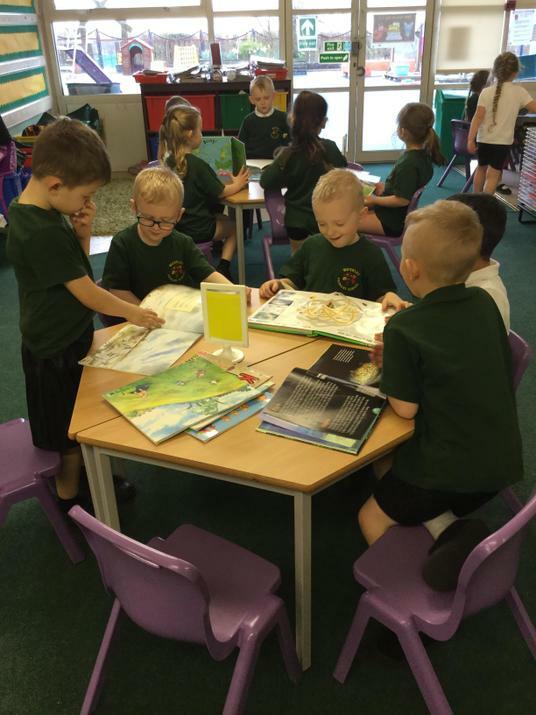 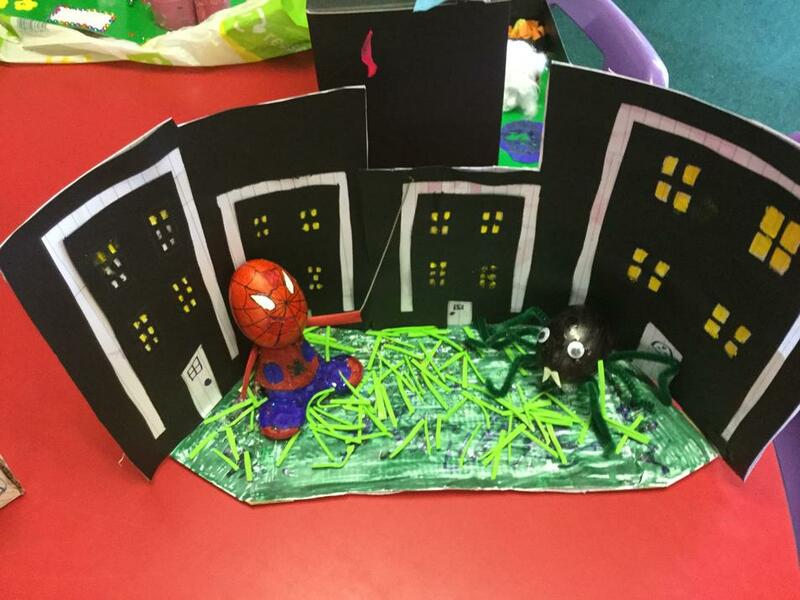 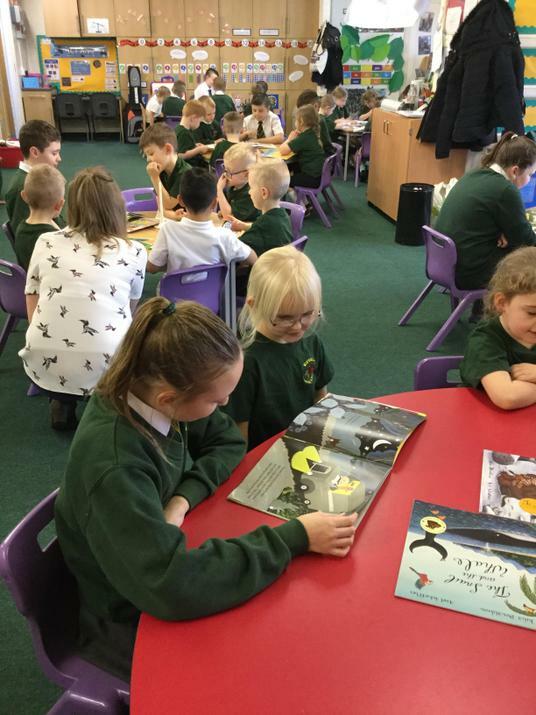 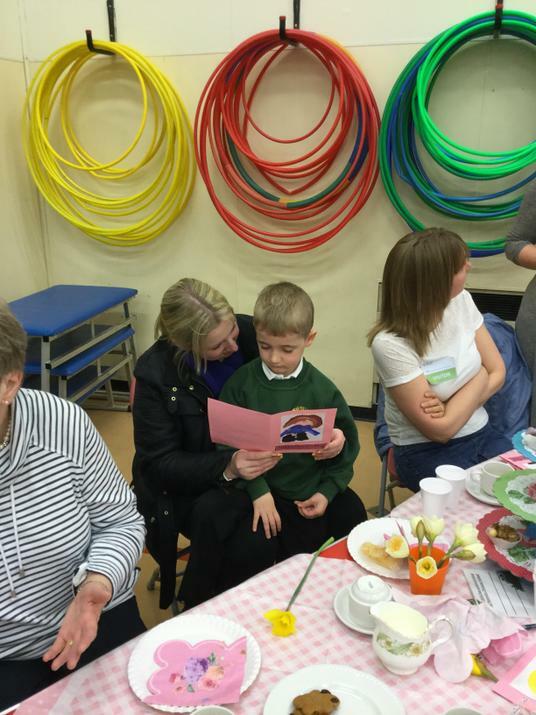 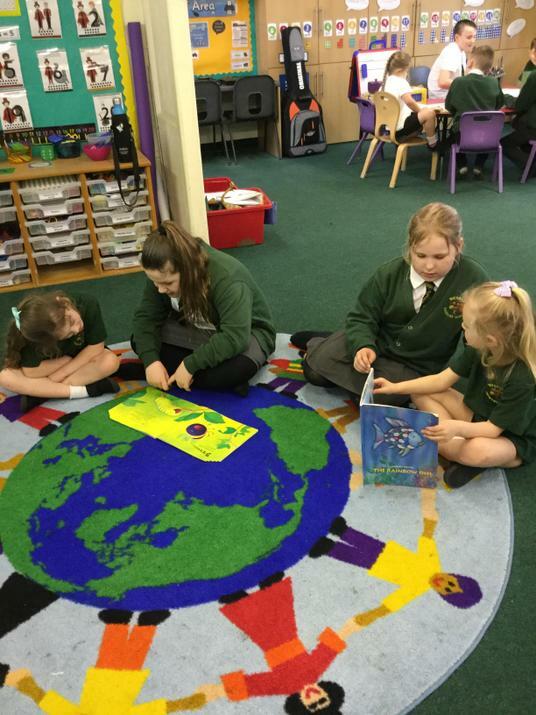 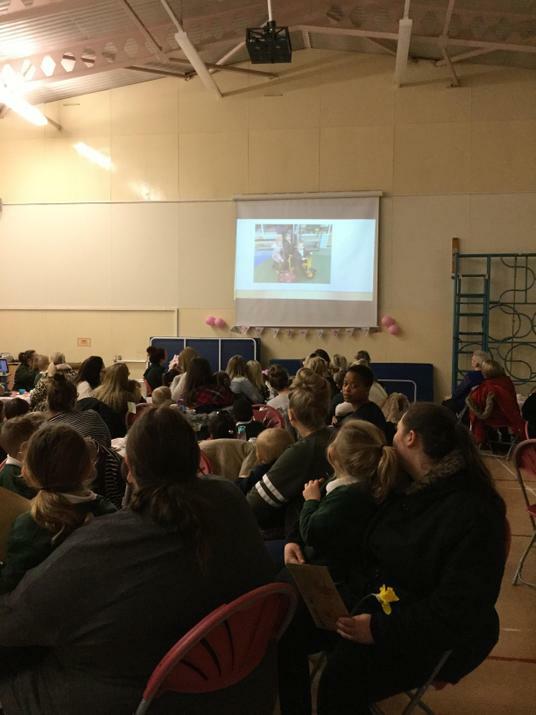 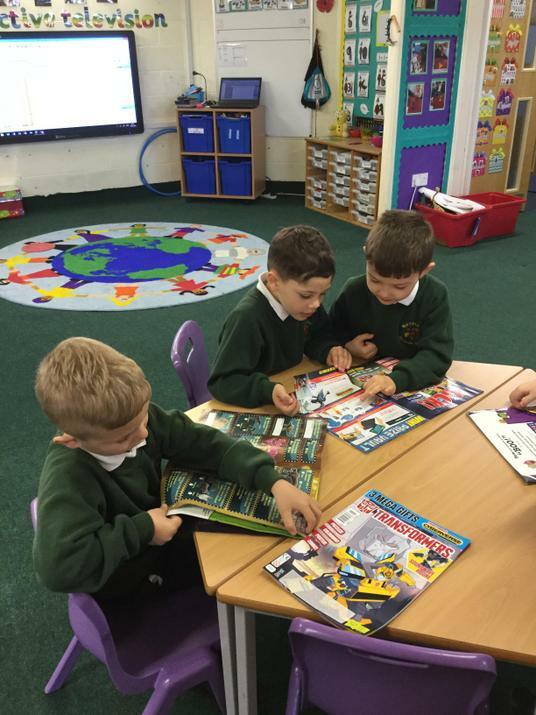 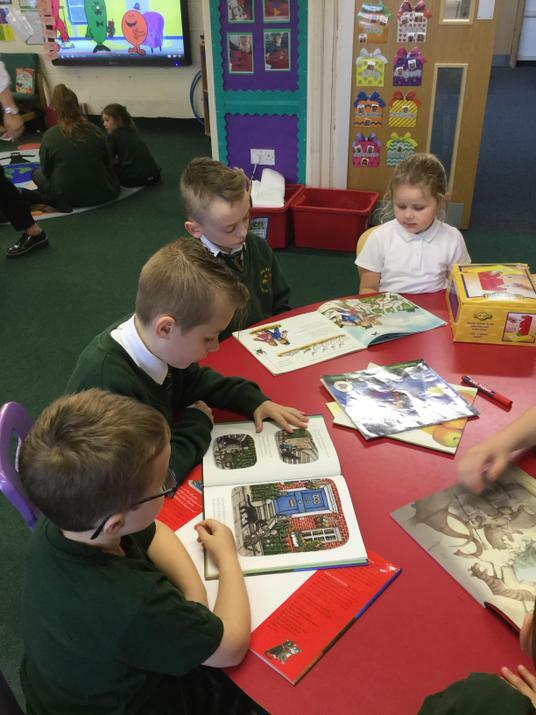 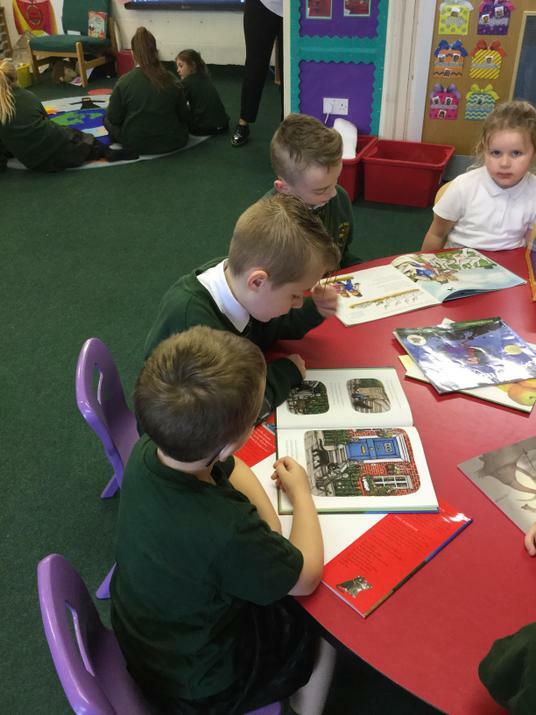 The children enjoyed reading a range of Fiction, Non-Fiction, magazines and comics. 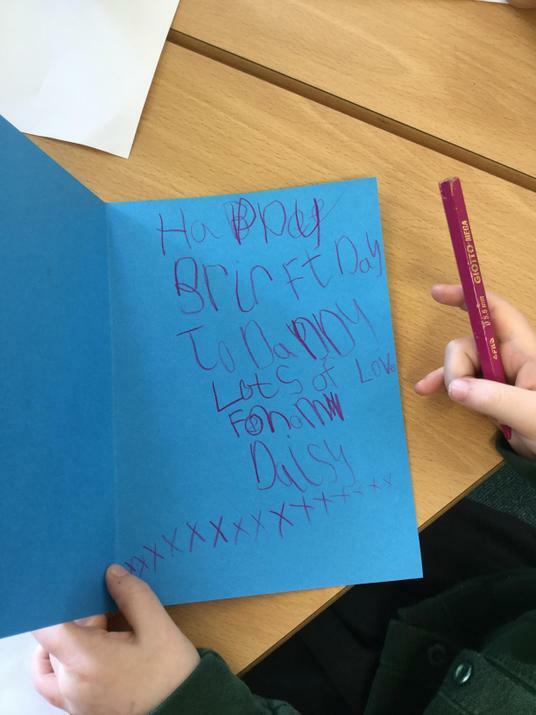 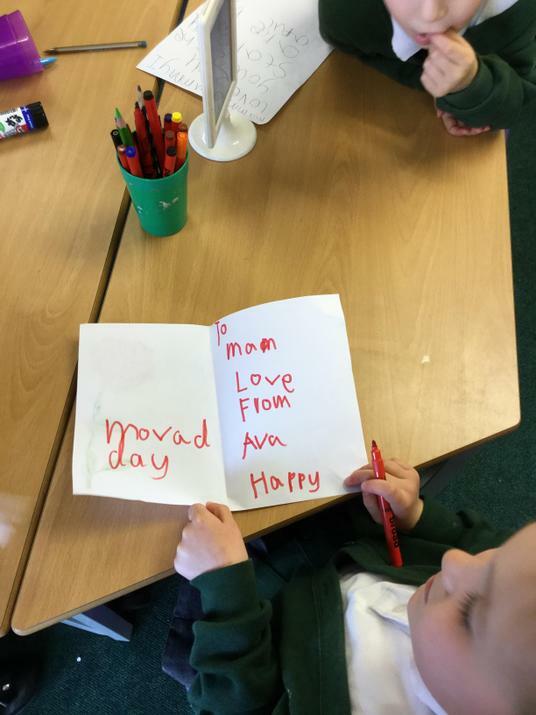 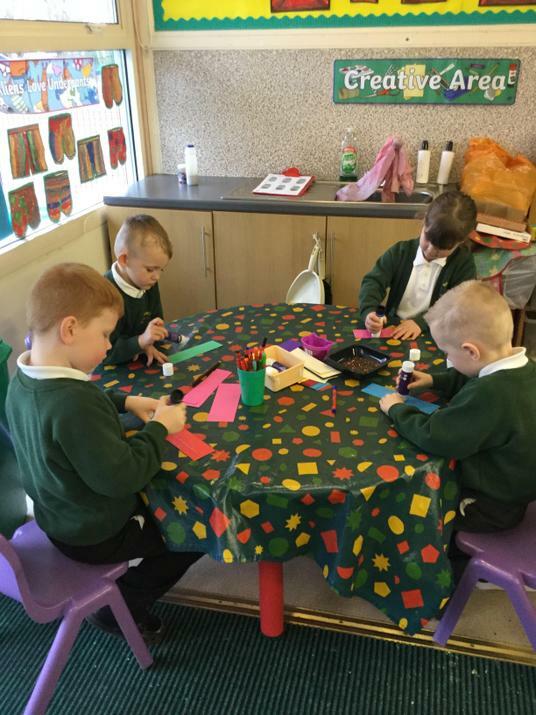 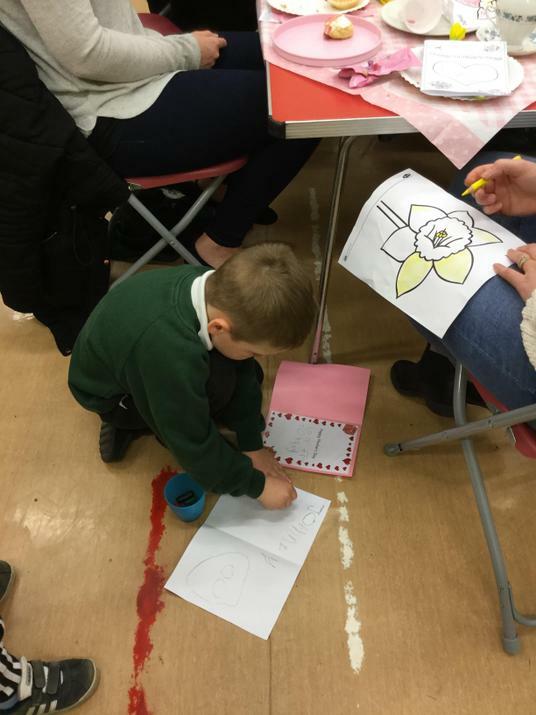 The children then had a opportunity to decorate a book mark, with some children using them throughout the day in the classroom. 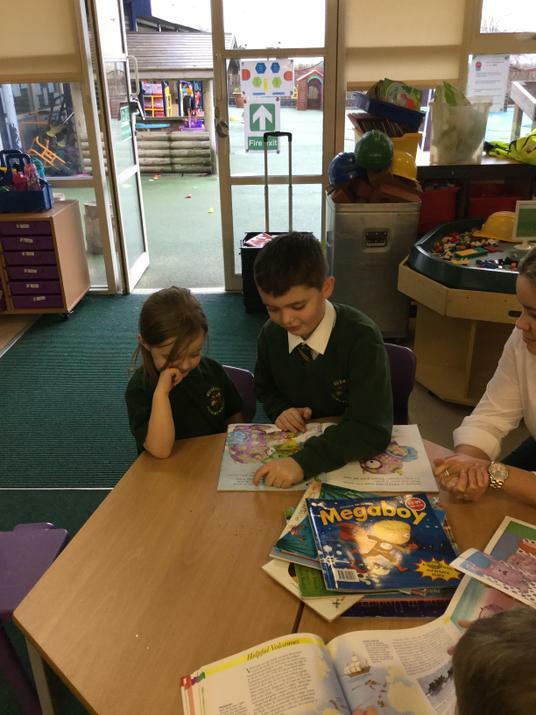 In the afternoon, we then had a visit from Year 5, who came down to our classroom to share some stories and enjoy reading together. 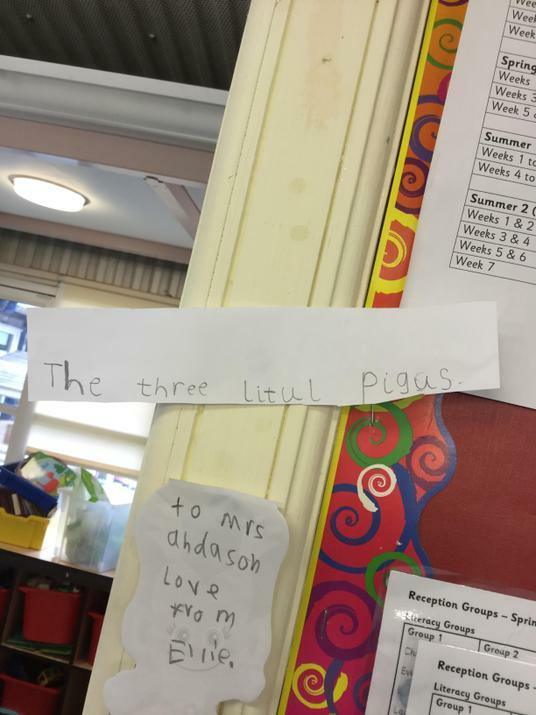 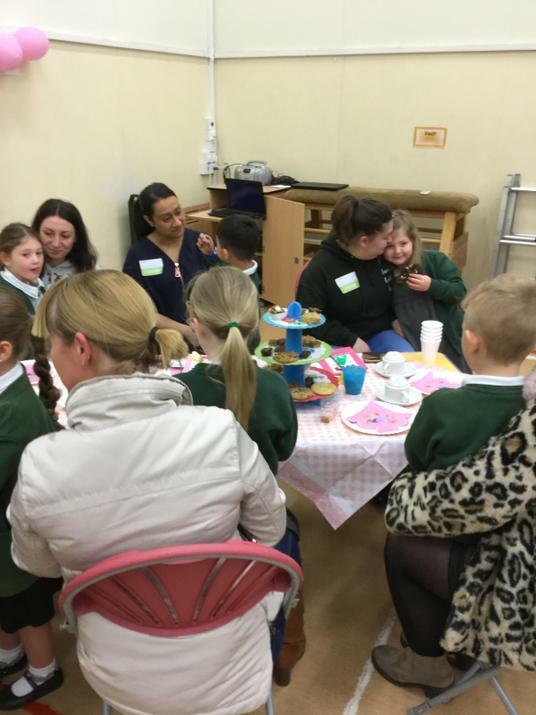 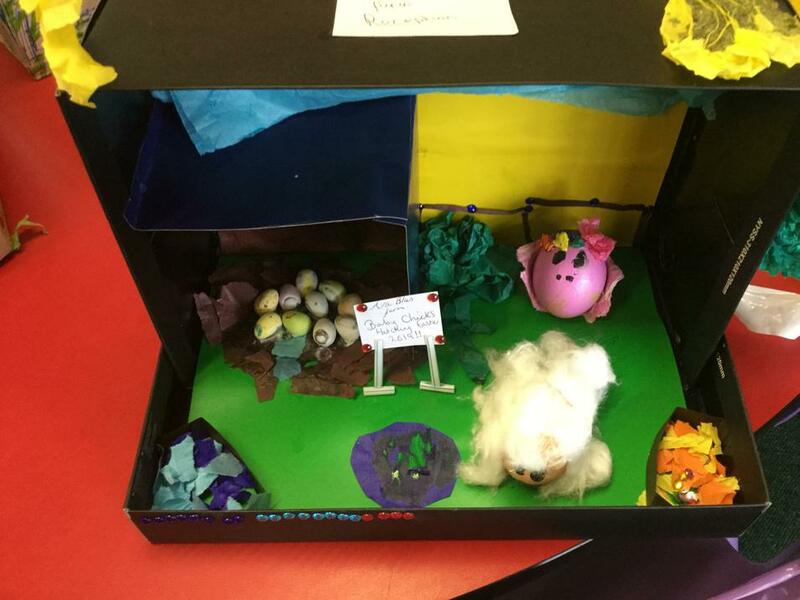 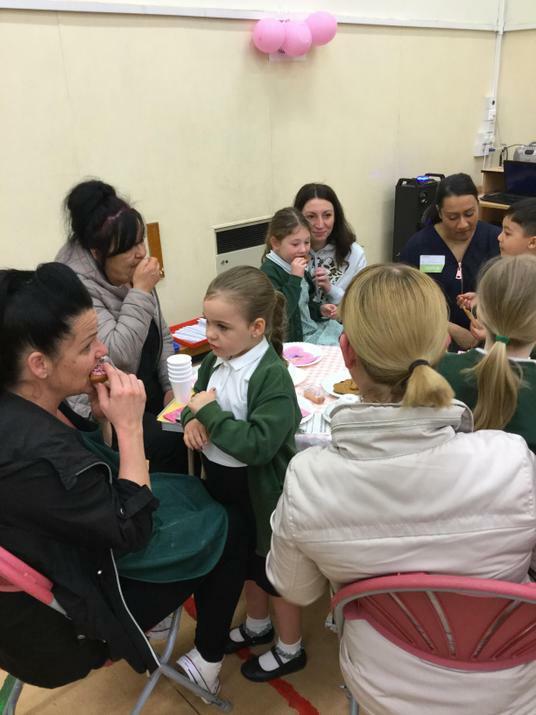 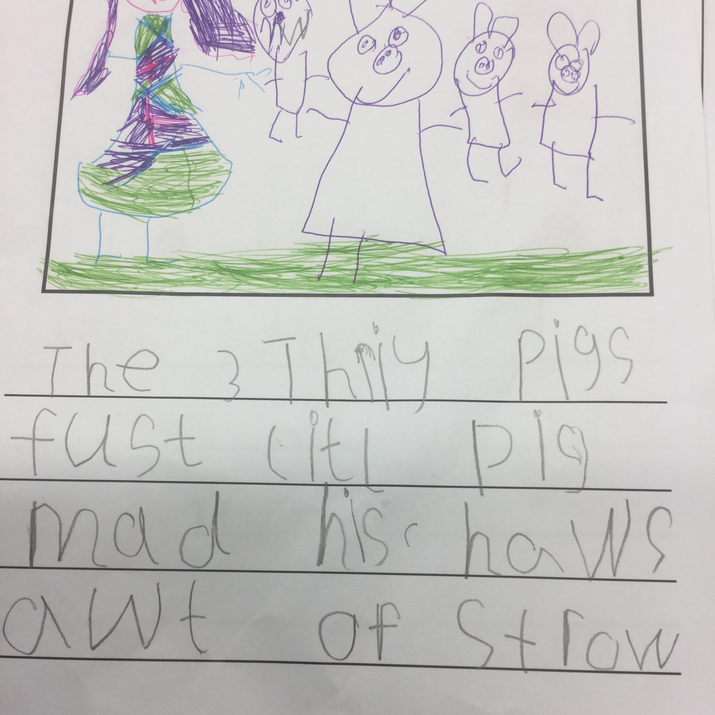 Over the past two weeks, the children have been learning the story of 'The Three Little Pigs' in depth. 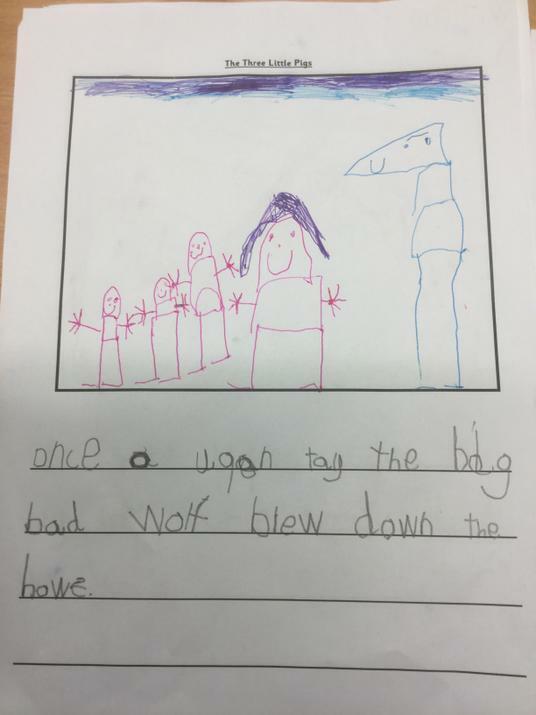 The children now know this story, with actions, off by heart. 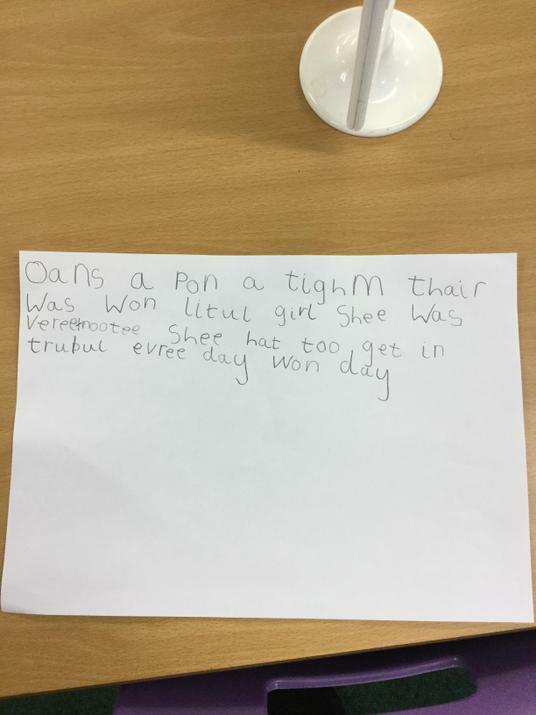 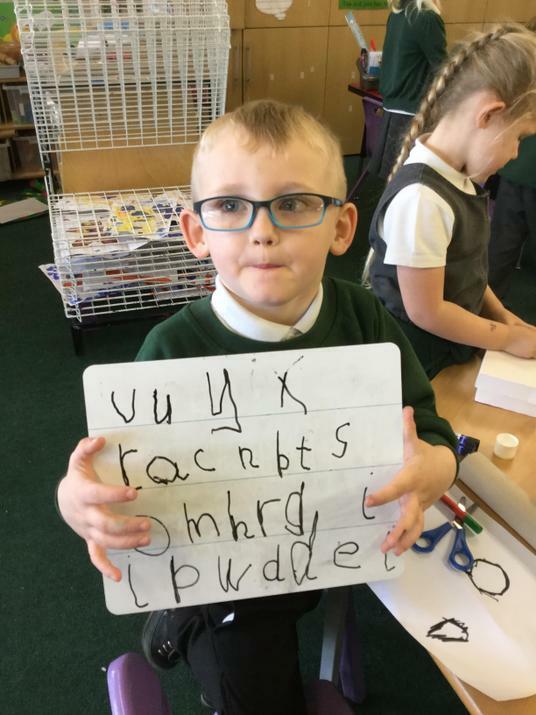 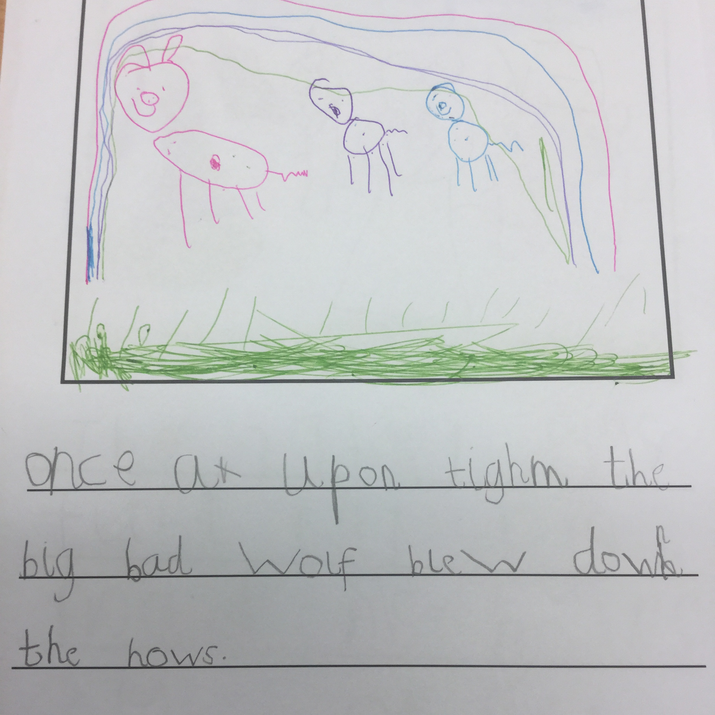 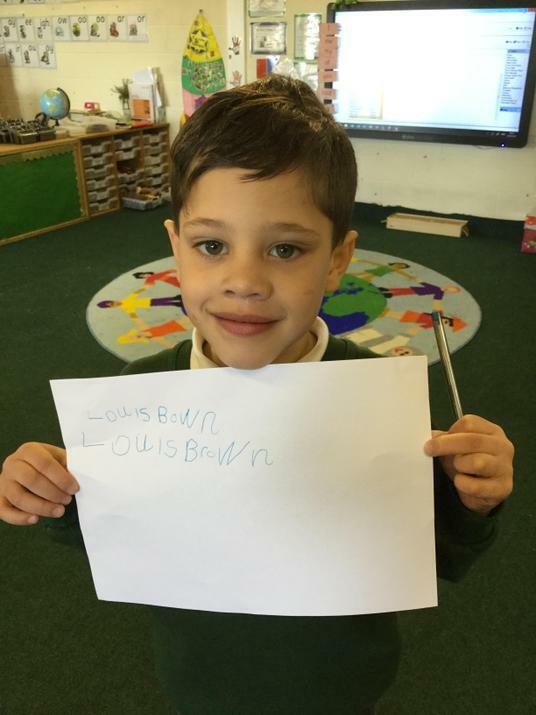 The children were then able to do some writing around this story, generating their own sentences and using story langauge in their writing. 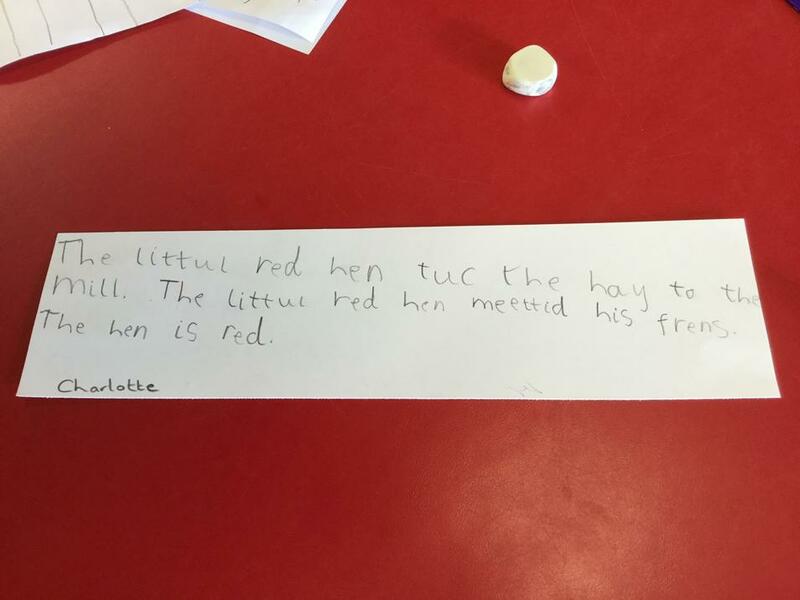 We then explored changing the charcaters in the story to create our own story, verbally. 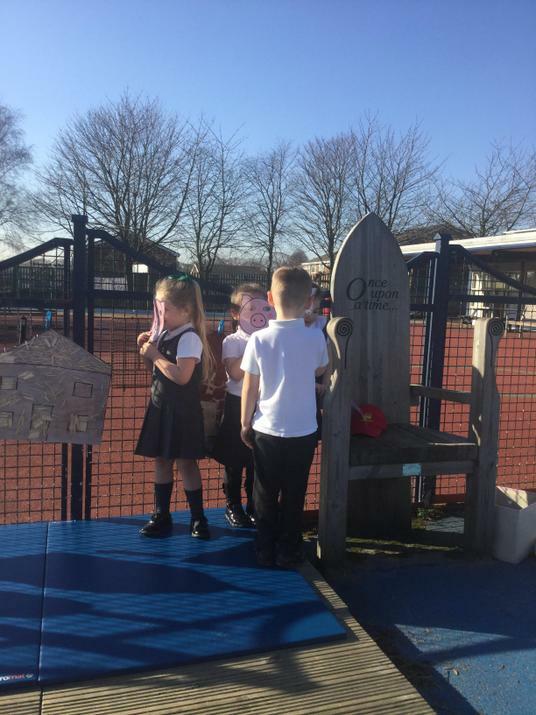 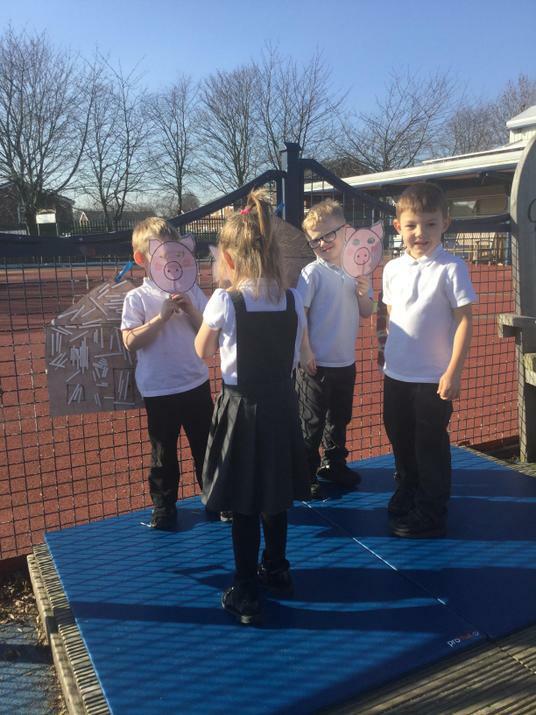 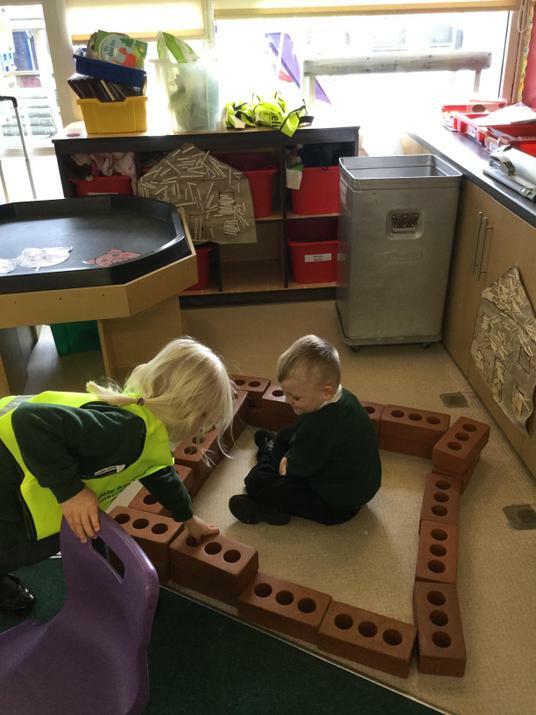 We have been making houses for the 'The Three Little Pigs' in the construction area, cutting our own masks to act out the story in the outdoor enviroment and making the characters from the story out of playdough. 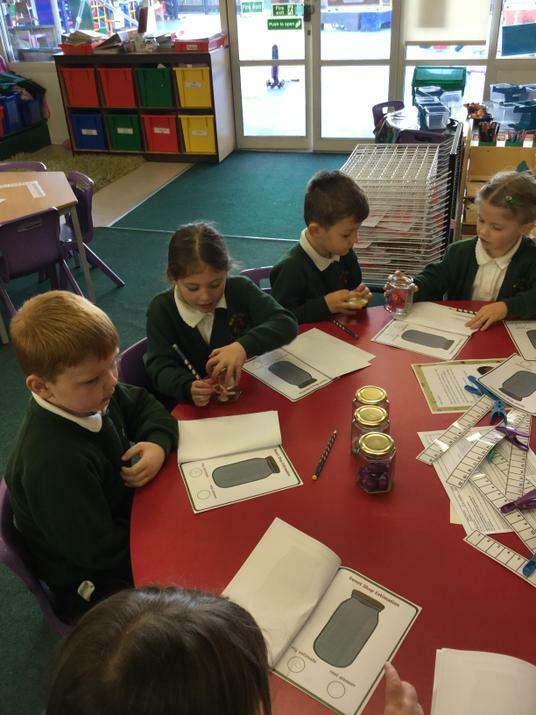 In Maths this week, we have been learning how to estimate an amount of objects and then count to check. 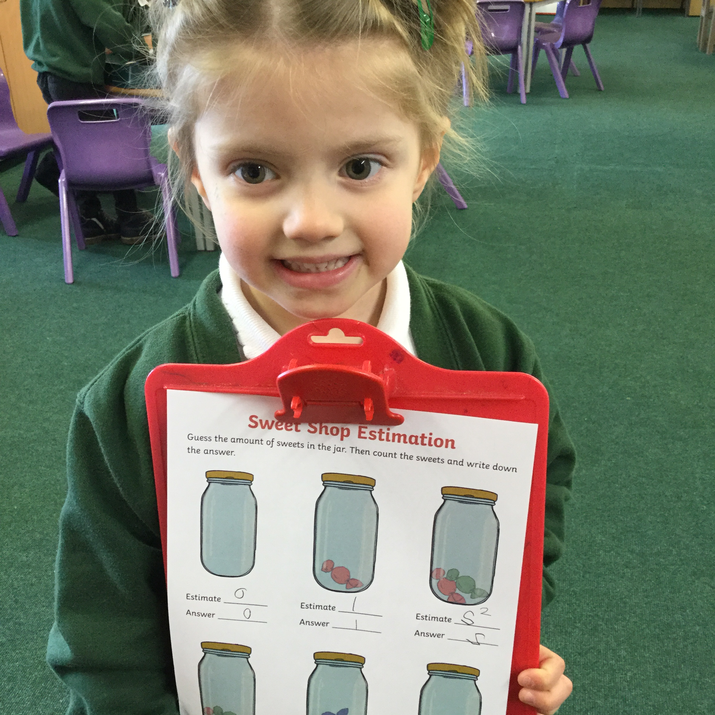 The children were learning how to give a sensible guess of how many sweets were in the jar. 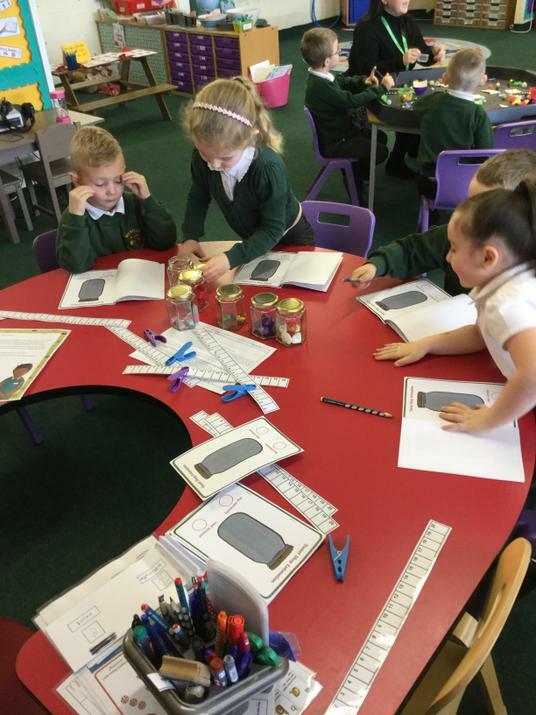 How many pom poms they estimated would fit into a bowl and how many cubes would balance the scales. 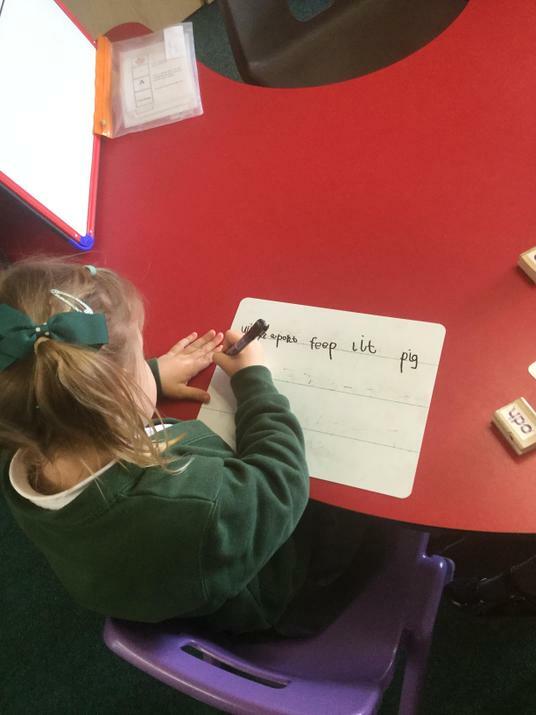 The children were fantastic at using Mathematical vocabulary and give reasons for their answers. 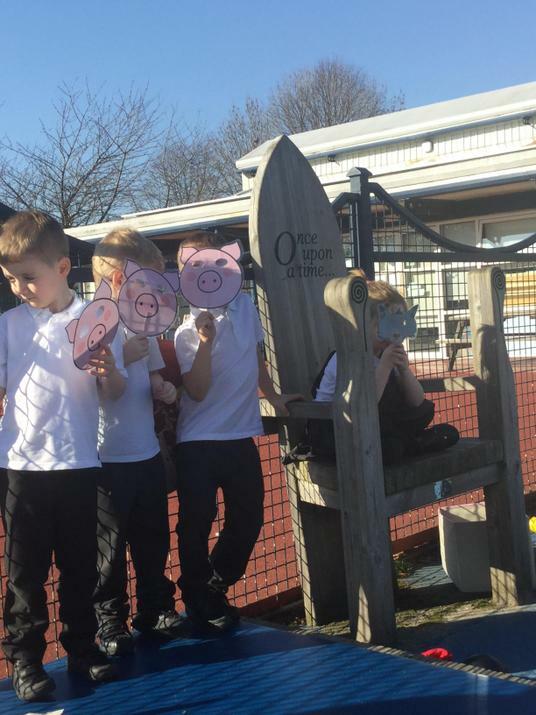 Welcome back to a brand new half term... Spring 2. 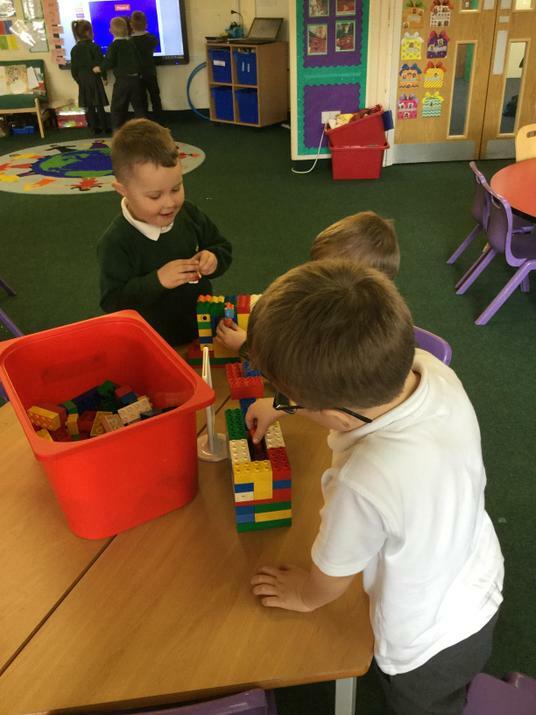 The children worked so hard in Spring 1 that they smashed Mrs Leeming's Dojo point challenge. 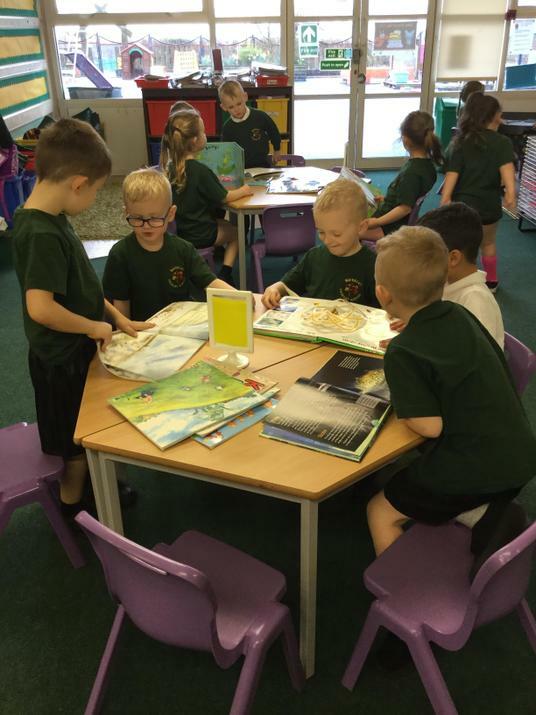 The challenge was to get 300 Dojo points collectively as a class, if the children managed to achieve this Mrs Leeming said the children could have a Bouncy Castle Party. 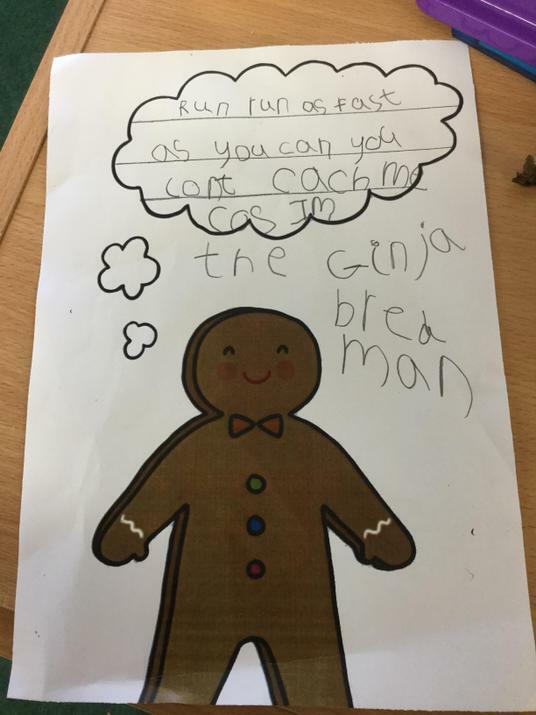 The children all worked so hard to get as many Dojo points as they could for trying hard in their work, being a kind friend, working as a team, tidying up, keep on trying, and helping others. 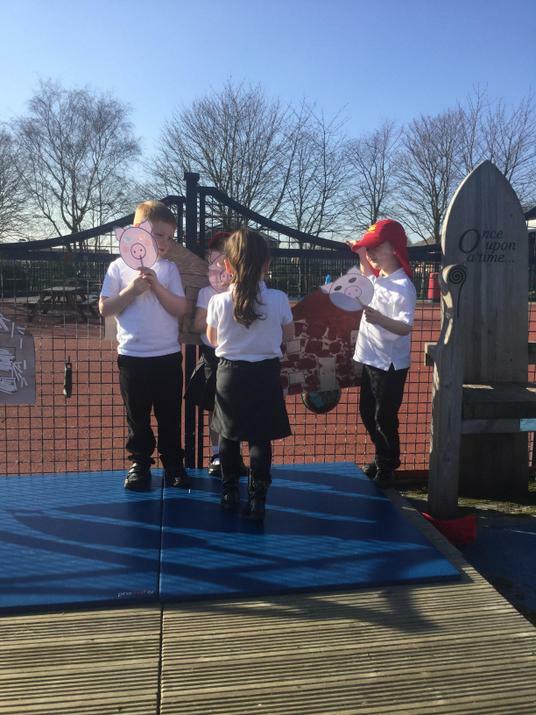 The children reached 352 Dojo points as a class, so on Monday they had a Bouncy Castle Party outside. 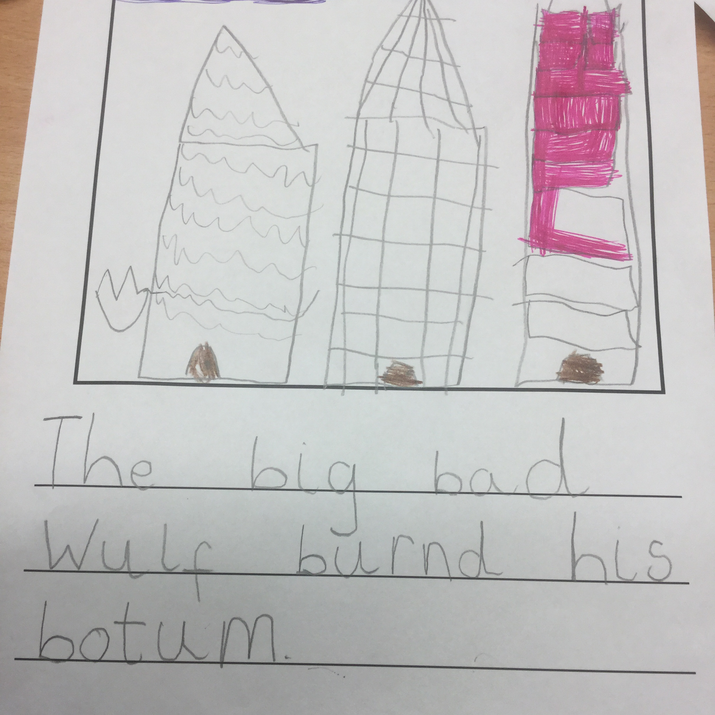 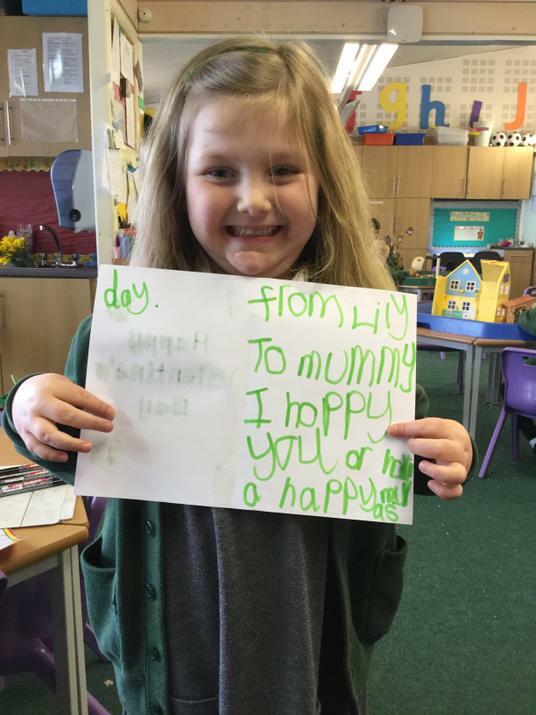 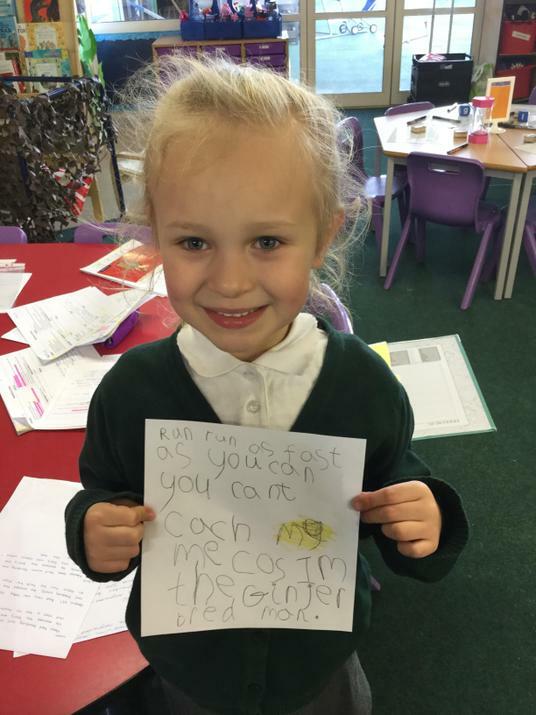 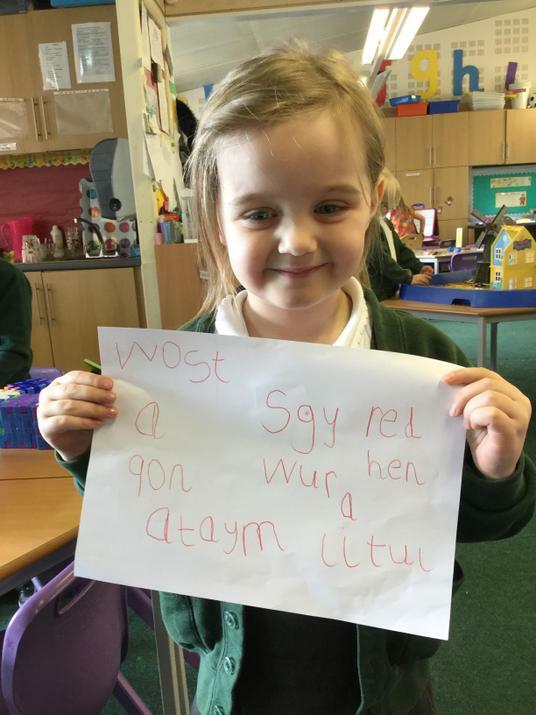 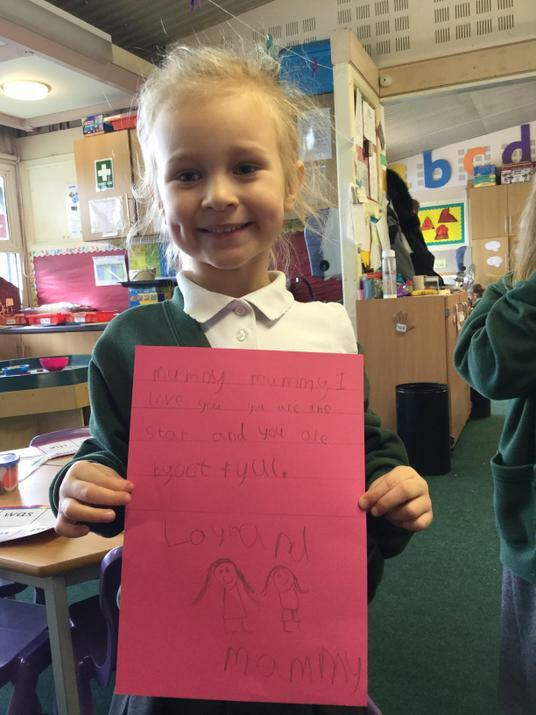 Well Done Reception.